Hello All! Just a quick update from the beautiful city of Prague, there is another post on it’s way shortly but in the meantime…. 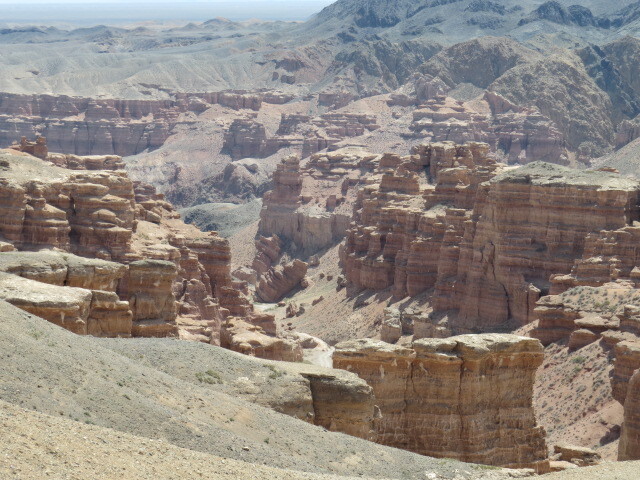 We have loaded a couple more YouTube videos – a quick one of Charyn Canyon in Kazakhstan and the other is of some sections of the Pamir Highway and Wakhan valley in Tajikistan. Most of it is looking into Afghanistan and it has some great scenery. I know it’s of interest to some of our followers so we thought we’d get the links up on the site. All the best and back soon – Justin and Jen.. 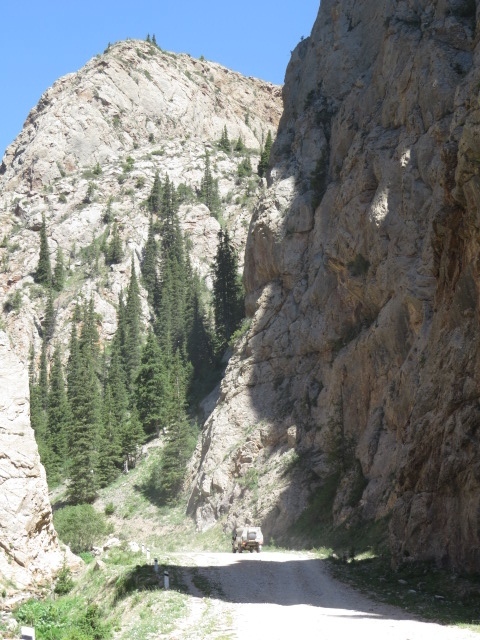 This entry was posted in general, Kazakhstan, Tajikistan, Vehicle on September 11, 2014 by Jen. 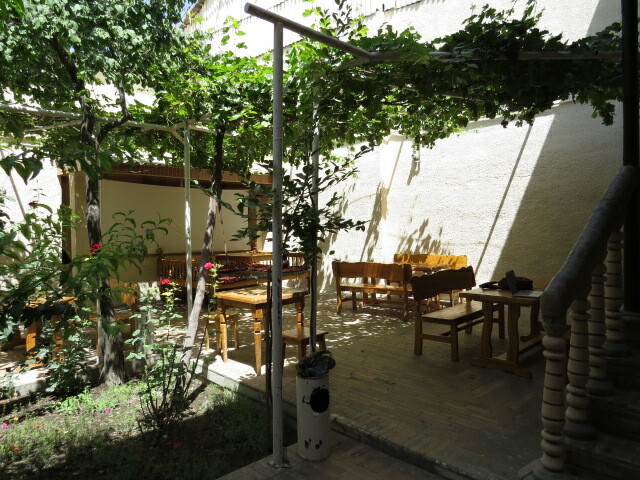 Emir B&B in Samarkand ticked all the boxes for us with a great location that provided us easy access to the City’s treats. 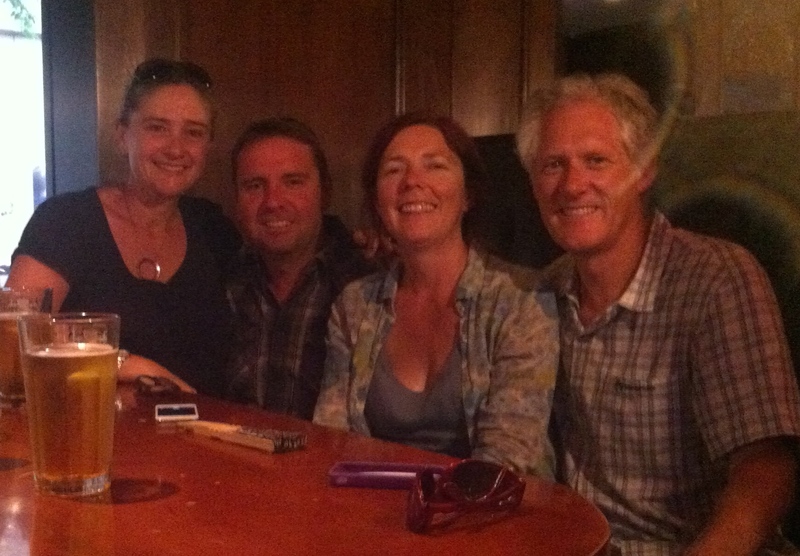 Meeting other travellers here was a real bonus for us as we generally only have each other to converse with. The opportunity to chat to others about their travels has become an experience that we relish when it presents! 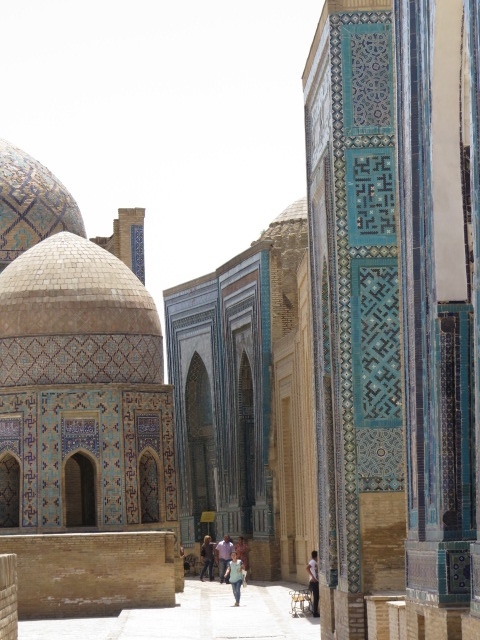 We crossed paths here with an American family on an Uzbekistan holiday and we couldn’t help but laugh when they recalled the reactions they had received from friends at home upon telling them their intended travel destination. – One comment was “why do you want to go to a country you can’t pronounce the name of and is at war?”…. We shared dinner with the Americans at a local outdoor restaurant and, due to being sold out of most other things, an Uzbek Super Dog was the favoured meal choice. Whilst looking for all intents and purposes like a true American hot dog in the pictures, it actually consisted of a pita bread pocket filled with carrot, egg, and a frankfurt along with a litre of ketchup! More ketchup was brought to the table just in case we didn’t have enough and it was an interesting take on the classic. Obtaining a tasty alcoholic beverage, however, proved challenging as Ramadan was still in progress, but Jen came into her own and obtained the required beverages on the sly from a restaurant! For a minute it looked like a dry night and we couldn’t have that, could we??!! It was fantastic to meet such well-travelled people with the most amazing stories that pretty much covered the globe – Africa to China and everything in between! On the road and we eventually reached Tashkent, Uzbekistan’s capital. A bit of a nightmare navigating our way in as none of the major roads are marked with any sort of street names and incorrect information from the local police didn’t help, but eventually we found Hotel Safar and, with pop star parking, we settled in. We had dinner across the road from the hotel at El Cascada, which was expensive by Uzbek standards but seemed an easy option! A late start the next day as we enjoyed chatting with the consistent stream of locals peering inside the camper as we prepared to leave! We were in a really nice part of the city and surrounded by some lovely homes. 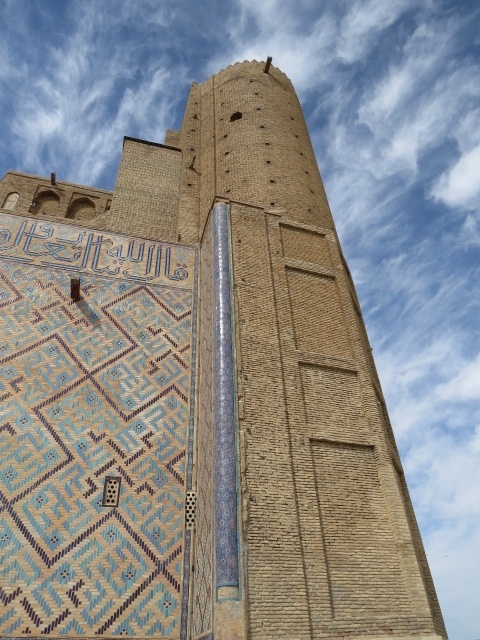 Uzbekistan to my eye appears to be quite affluent as compared to other “stans” – the usual mixture of mud brick homes in the country areas but the cities are very modern! I can’t really describe the driving skills here – chaotic and idiotic might be a start but we are becoming more than used to the style now and that makes it a lot easier! We departed for the border crossing at Chernyaevka and after an hour we arrived only to find we couldn’t cross at the location shown on all the maps and many websites as it was for foot traffic only! (or so we were told by locals) A little confused we were directed by locals to a vehicle border crossing and with a friendly local leading the way we soon arrived at the border. 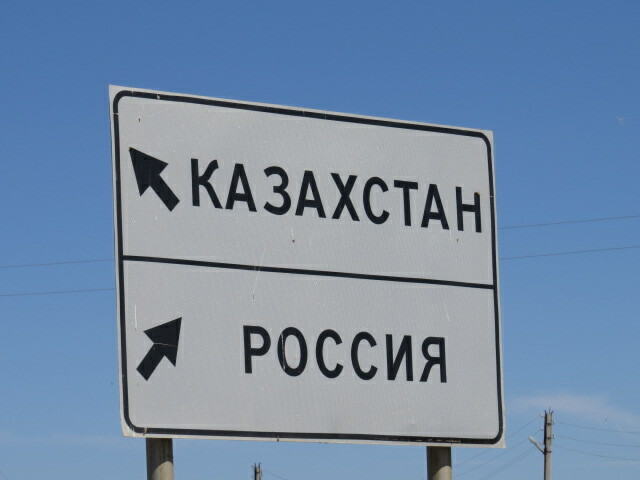 However, we couldn’t cross here either, as this one was only for locals and would have to travel back 60km south of Tashkent to make the crossing! Somewhat confused and frustrated at this point, and feeling like idiots as we pride ourselves on preparedness, we checked our information and according to our info the first crossing we were trying to use had been open for 3 years and was currently active! Anyway it’s hard to argue with border control so south we headed. It was all a little stressful as diesel is very difficult to obtain in Uzbekistan and, as such, I had planned our route taking this into account. Due to this border fiasco, we ended up over running our expected driving distance by 200km! 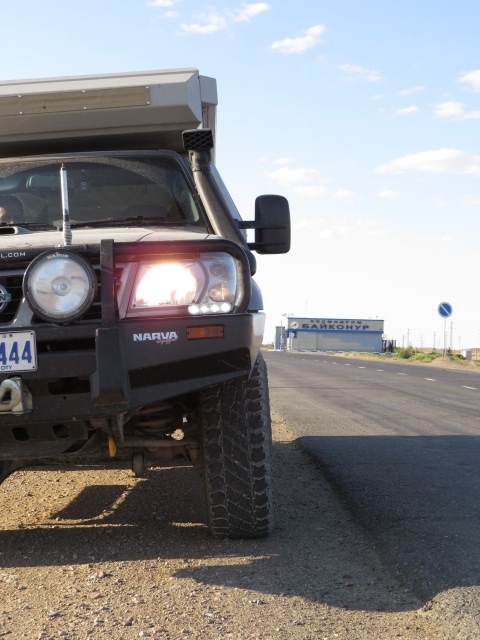 Eventually the Yallama border crossing appeared and proved reasonably efficient – the usual non-existent instructions or signage but plenty of helpful people who assisted us through. 4 hours evaporated by the time we found ourselves back in Kazakhstan! We took on diesel only 10km from the border along with all of the trucks departing Uzbekistan and to say I was relieved to fuel up would be a real understatement! 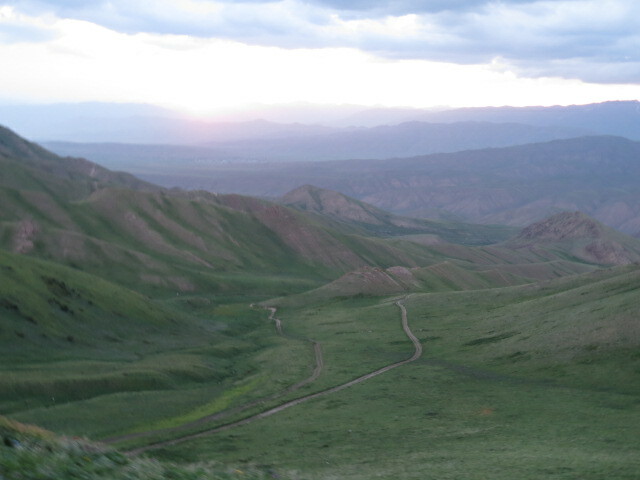 North to a dodgy campsite on someone’s paddock and then on to Shymkent we headed. A resupply and we settled in for a couple of thousand km driving that was really to be only a transit for us. Story cd’s playing, we continued north but you have to register your visa within 5 days of crossing the border so the pressure was on for us to make it to Russia! 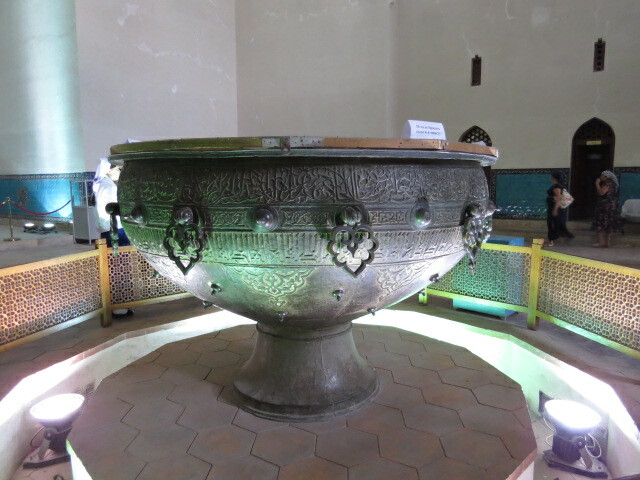 We briefly stopped in Turkistan for a look at the Yasaui Mausoleum, which despite being unfinished due to Timur’s untimely death back in 1405, was quite spectacular with a 2000kg cauldron for holy water as the centerpiece. Clocking up the hours driving with the associated km’s meant that meeting 2 Italian overland vehicles on their way south provide a nice break from the road! On a whirlwind trip from Italy, they were heading to Uzbekistan and then home so with maps spread we swapped stories and contact details before once again hitting the road. We hope to enjoy the offer of delicious spaghetti with them once we make it to Italy! 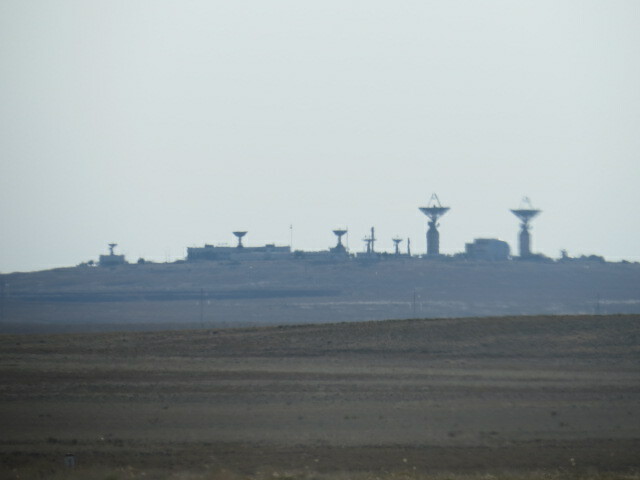 Baikonur Cosmodrome came into view and we idled along the road for a while with binoculars and zoom lenses trying to see what we could see! You can only gain access to the site via a few select tour agencies, only if there is a launch and only after parting with a large quantity of cash and even then it seems somewhat difficult to organize! Apparently there is an amazing museum of space travel and Yuri Gagarin paraphernalia on site but access is prohibited. Quite sad really! The Italians had sent letters 8 months in advance to the Russian Government to try to arrange access to the museum only, but to no avail! The Kennedy Space Centre in the US has tours and the like and really gets you involved and wanting to buy souvenirs and spend your money whilst here our only interaction with anything to do with the cosmos was the Police questioning us whilst we parked outside the main gate for a photo opportunity, very welcoming! They certainly do things differently here! 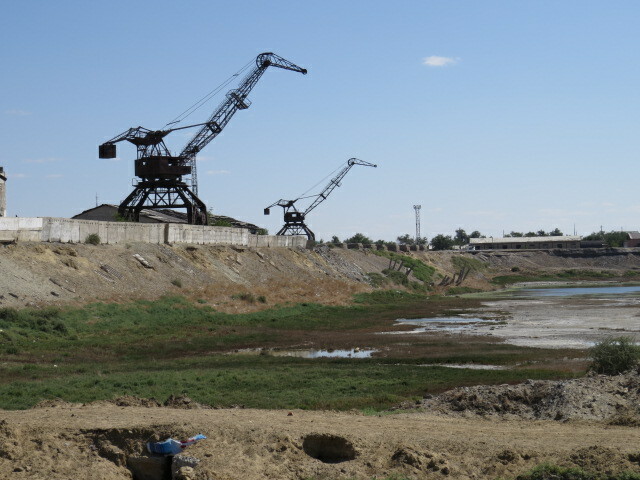 No point hanging around and so it was on to the next destination, Aralsk – the site of the once blue and fish stocked waters of the Aral sea before the rivers and source of it’s life blood were diverted to grow thirsty cotton in the incredibly arid Uzbek landscape. Clever move that one! Anyway, if your interested just Google it and have a read, what a disaster! 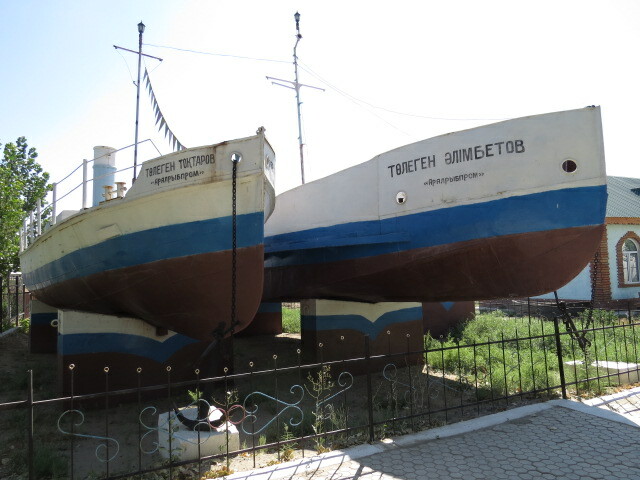 We eventually found the site where some fishing boats have been put on display giving a glimpse into a life that seems could never have existed when you look around this desolate and somewhat depressing place! Fortunately for us however we were able to locate an immigration police office and an hour or so of waiting patiently saw our visas registered and with that the pressure to make the border was removed! A good thing too as it was looking like an all night drive to make it and I really wasn’t looking forward to that even with our sensational lighting. 2 more days slid by as we traversed more and more modern large towns with obvious Russian influence. We did pass a convoy of around 12 motorhomes with European plates heading the other way and couldn’t get a wave out of any of them! I think they were too fixated on sticking with the group to look sideways! 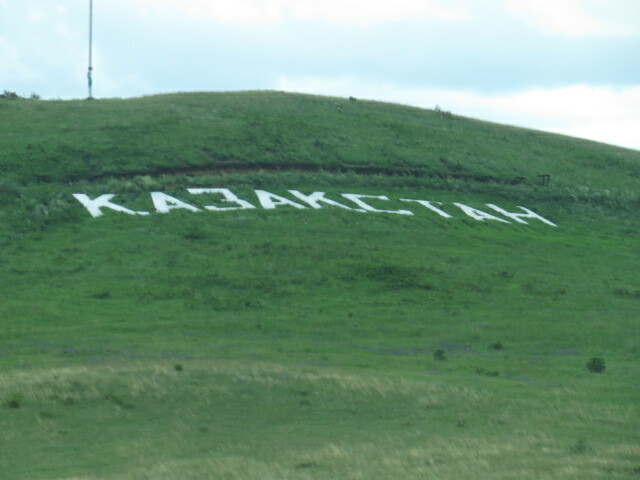 We finally arrived at the border and said our goodbyes to Kazakhstan, we’d only been stopped twice more by the police and then only one suggested we were speeding, so all in all it had been a smooth transit. One and half hours and we were back on Russian soil and heading for a rendezvous with some local Russians who were friends of friends back in Perth! Little did we know that we were once again about to be soaked in Russian hospitality and would look back on the next few days with amazement and fantastic memories whilst adding another group of Russians to our list of best friends that we sincerely hope to see again! Maxim, Olga, Sasha and Sasha (long story) along with their friend Sasha, his son Vladimir and father Peter along with a few more extended family members made us feel like royalty. 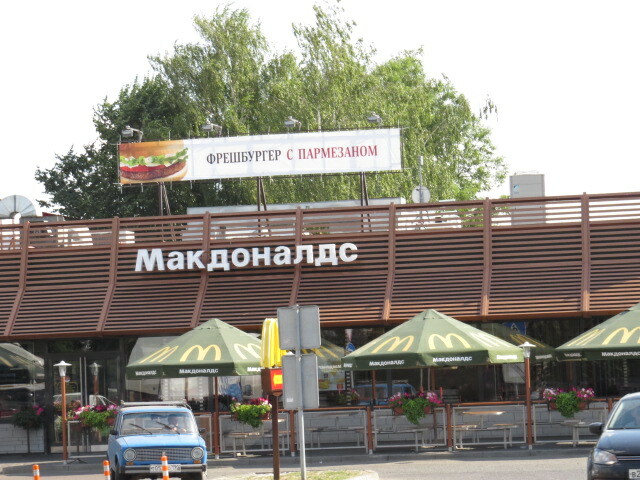 The American icon of McDonalds also made more than a few appearances as we reached the larger Russian towns although it looked a little different!! Just outside of Tolyatti city, Maxim and family met us on the side of the road and guided us into the city and to their friend Peter’s fantastic house that was to be our home for the next couple of nights. Russians seem to do hospitality at a level that leaves most other nationalities well and truly in their wake! 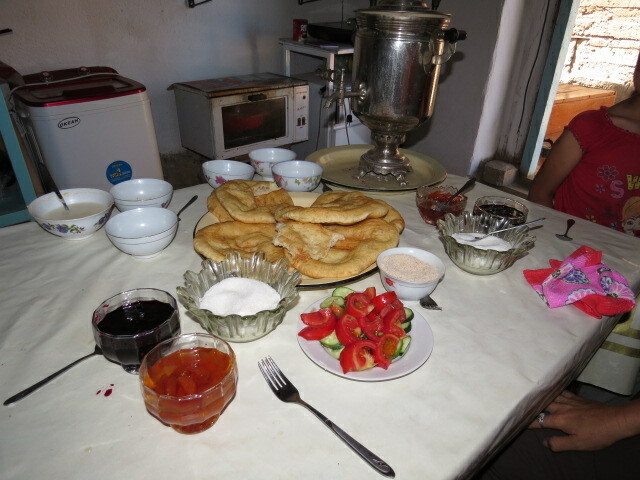 Chai (Tea) served on arrival and then a fantastic summer soup of fresh seasonal greens mixed with Kvass (a local drink) and sour cream, which might all sound unusual but was very refreshing. 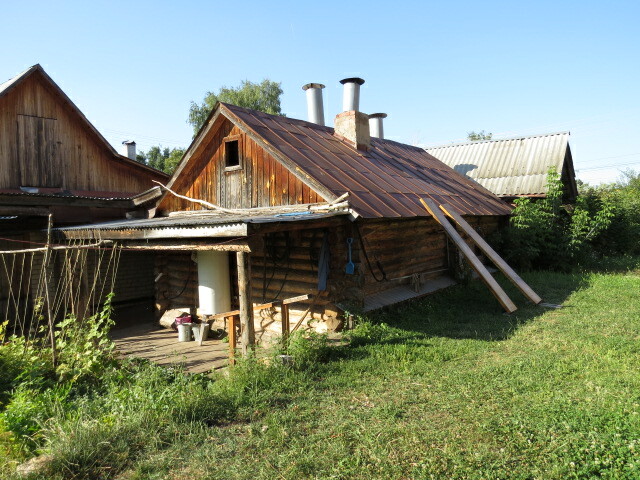 Peter has a Russian Banya (like a sauna) in his back yard and an invite to a traditional Russian bath wasn’t going to be passed up! We’d been in the car pretty solid the last few days and Maxim had played it perfectly in suggesting the experience! A serious amount of body cleansing was in order and it was provided! An exercise in male bonding including being smacked with birch leaves was a truly relaxing experience and one I feel fortunate to have enjoyed. I was able to enjoy this Russian tradition in a private banya in a Russian home whilst being made so welcome that I’ll never forget it. Jen had her banya experience after the male bonding session and together we emerged freshly birch leafed and refreshed! Wandering into the backyard and Peter’s son Sasha was hard at work preparing shashlik and trout for dinner – this was just too good! Later in the evening whilst the throng of people were trying to sort Jen’s Internet connection out, Peter grabbed me and suggested we head to the neighbour’s for a little drink! This particular day is a celebration here in Russia – I’ll call it Para-trooper day. You see flags being carried all over the place along with beret wearing locals sporting very red faces after having consumed more than a couple of drinks. Arriving at the neighbour’s, I was greeted by a two Russian navy lads, one the size of a battleship on his own, who were refining their shooting skills by lining up apples and shooting them with an air rifle on the picket fence! Clad in blue and white striped shirts and berets, they certainly looked the part! So here I am in backyard Russia eating shashlik and toasting with the locals whilst communicating in a language none of us understand and all the while having a truly fantastic experience! Maxim and family took on the role of tour guides the following day and from mid morning until well after dark we were treated to a tour of there locality, from restaurants and museums to walking in the forest before meeting some of their friends and whiling away the evening in great company. A wonderful day and the bar was again set higher. Maxim’s son Sasha who said he couldn’t speak English earlier in the day through shyness, was actually quite adept and treated us to some lessons in Russian over the course of the afternoon! I came away with my new favourite word – kruto, which means “cool” in English! The morning arrived and with it Maxim and family. We needed to arrange a new Russian third party insurance policy for the Patrol and looking back on the experience, without Maxim, I think it may have been almost impossible. Goodbyes were said and with a truly heavy heart we departed Peter’s house, it had been a true respite from the rigors of travel and we could have easily stayed! 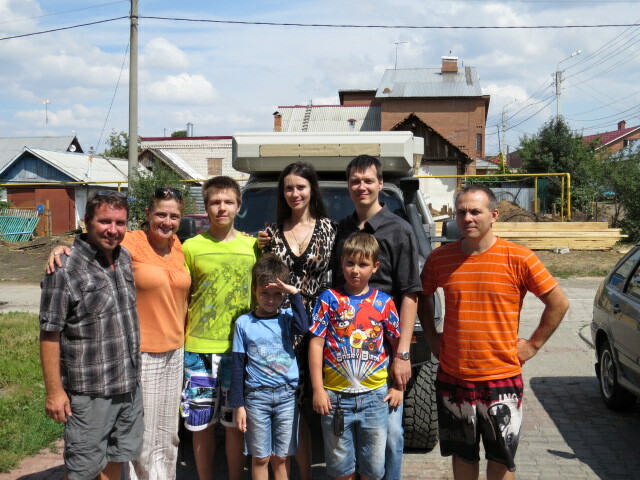 A supermarket restock and lunch with Maxim, Olga and sons and we were on our way to Moscow! 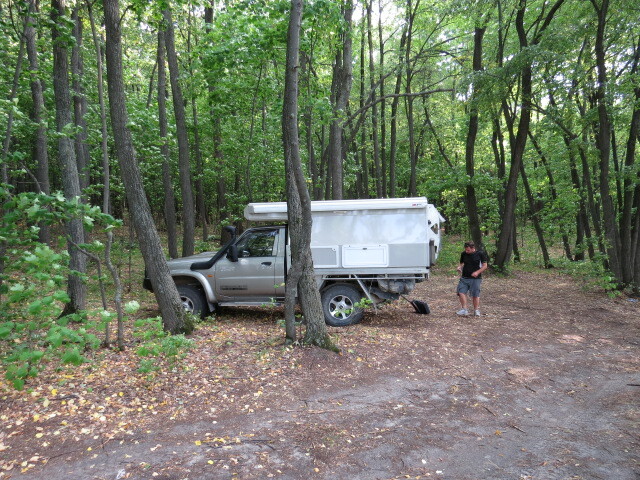 A couple of hours on the road and we found a great campsite on the Volga river. It took a little snooping but it was definitely worth it. We could easily have spent a couple of nights here but the capital was calling and beyond it we hope to make Slovakia to meet a friend, which requires us to get a move on! 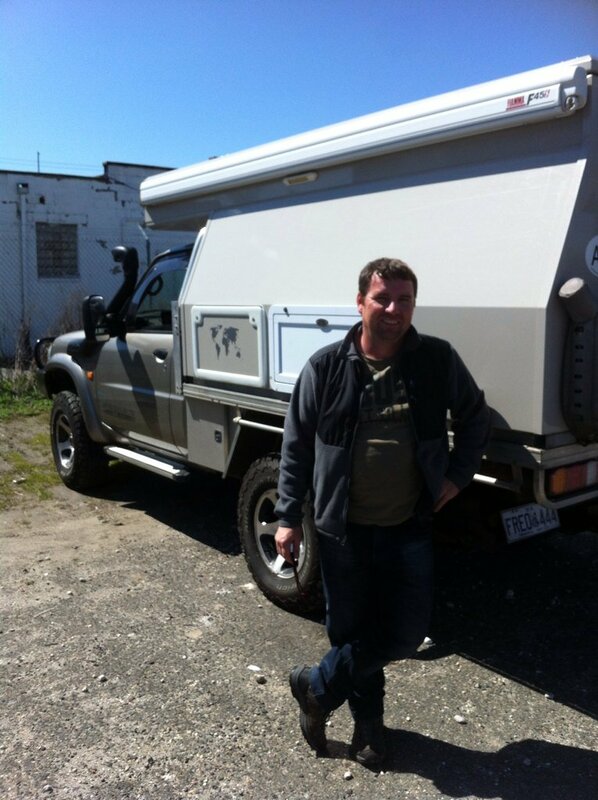 So on we travel whilst trying not to become a hood ornament for a road train. You can count the legs on the dead insects on the grills of the trucks that tailgate you! How close must that make them? Another nights camp on a relatively disused track some 4km off the highway and we are 460km from Moscow! The next day was a long one and the traffic on the M5 got heavier and heavier. We arrived at the newly located Sokolniki campground, which is just north east of central Moscow at around 7:30pm, and were greeted by a very confused security guard. After a phone call to the park manager he finally let us in. It was great to be parked and out of the peak hour rush and we celebrated arriving in this great city with nibbles and drinks. 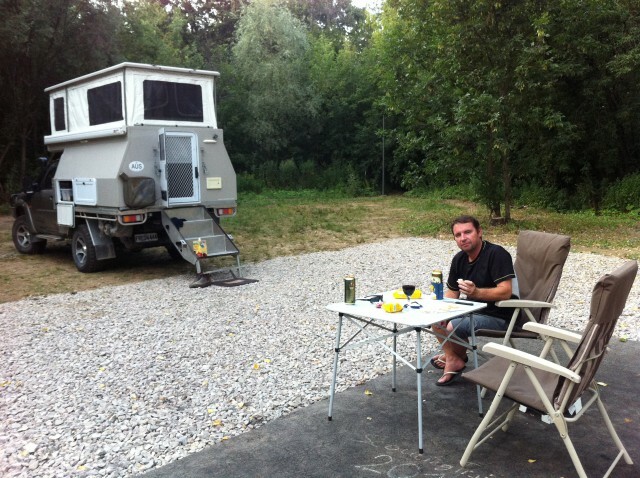 As the only residents of the recently re-opened camp ground we enjoyed a quiet night of relaxation. 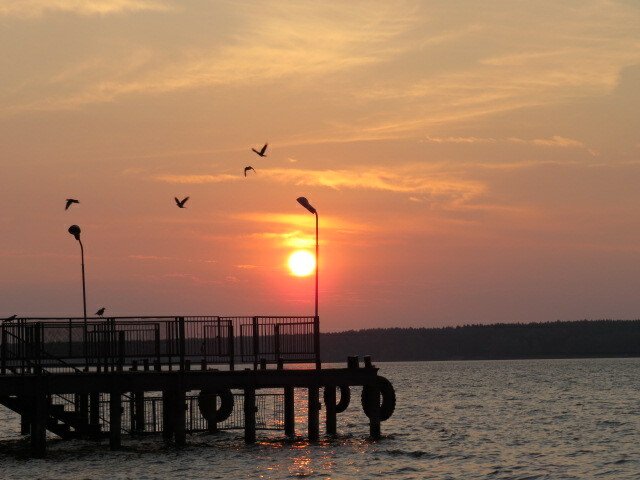 This entry was posted in general, Kazakhstan, Russia, Uzbekistan on August 16, 2014 by Jen. After our indulgent evening with like-minded cohorts Stephen and Caroline, the morning greeted us a little too early along with the slight reminder of the previous nights drinking habits. Anyway we packed and headed for a supermarket which proved OK to locate but a real mission to find a way into, however once inside we stocked up and enjoyed lunch before departing! Turns out she’s an expat working in Almaty and we had a discussion about Kazakhstan from her point of view! Needless to say, backward was mentioned! Now there isn’t a car on the road at this point in any direction and it’s dual lanes each way! So we turned left across the non-existent traffic and immediately a Police car sprang from behind a parked bus with lights and batons, dollar signs in their eyes! So we pulled over – what’s the problem? It’s explained to me that you can’t turn left but only to the right! Turns out there’s a little dodgy sign under a tree near the car park with a little white arrow on it! It’s obvious to me at this point that this is their local income subsidy spot! I enlighten him to the fact there isn’t an Australian consulate in Kazakhstan but I’m apparently wrong! Seriously you’d think we’d run over a crosswalk loaded with disabled children in wheel chairs! At this point a crowd is assembling and a couple of young guys catch Jens eye, she say’s we don’t even know what the problem is and one of them smiles and say’s in his best English – Welcome to Kazakhstan! Anyway I point out the fact that the Police harassment of tourists isn’t making his country particularly inviting! His response is to look at my passport and recite my name in full in an extremely slow version of phonetics whilst looking to the heavens and making a clicking noise with his tongue! I have to say that was becoming quite hilarious after about 10 minutes of repetition. Anyway all the while he is filling in a piece of paper that I assume will be my fine! It’s not carbon triplicate or the like, only the top slip that looks like he removed it from his pocket and unscrewed it! So one letter at a time whilst clicking his tongue and looking to the heavens it’s obvious this will be a game of endurance! After about 15 minutes I was starting to wonder whether it was just worth giving him a few dollars to piss off but if you do that the next punter gets hit harder not to mention encouraging the practice. As we have time on our hands, we decided no money would be changing hands without proper paperwork. At that moment one of the young local guys intervened and asked if we needed any help in perfect English? Absolutely yes please was our response! After a discussion between the two and the slow but steady increase in bystander numbers it all got to hard! My documents were handed back to my new best friend and no eye contact made with me at all! Very professional conduct wouldn’t you say, and the Police car disappeared as fast as it had arrived, no doubt off to the next hot spot. After all lunch was approaching and someone has to pay for it! 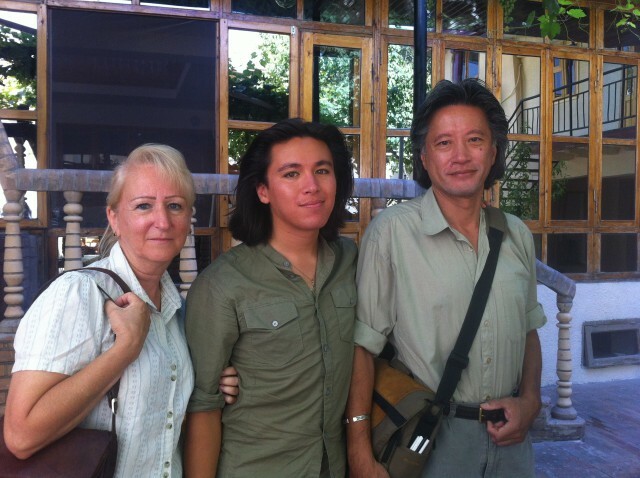 We thanked our intervening friend and with smiles and nods and made our way out of Almaty! 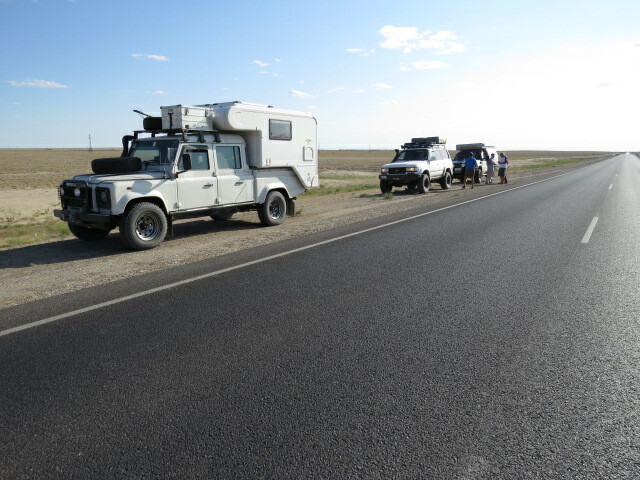 An English guy by the name of Craig we’d met in a Land Rover and on the web under Bermuda Rover also had the fortunate experience of 4 Police stops whilst here in Kazakhstan. Seems it’s an unavoidable fact of traversing this country. It did slightly taint the experience for me though as you stop enjoying the travelling and have to concentrate on not making the slightest mistake whilst driving, doesn’t matter that you were just passed in a 50km’h zone by a banged up old Mercedes with no number plates and bald tires doing 100km’h, the foreigner will be the target! Unfortunately we still have some considerable km’s to transit through this country once en route to Moscow, hopefully the experience improves! A quick note though. 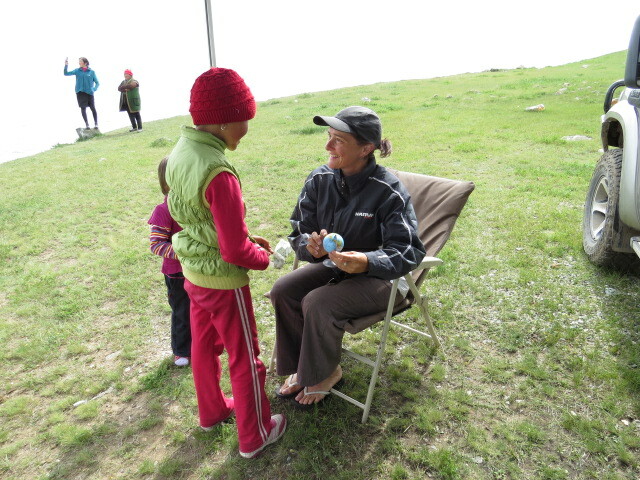 The Kazakh people were lovely and we thoroughly enjoyed our time amongst them. It’s important not to tarnish a complete memory with some small aspect! 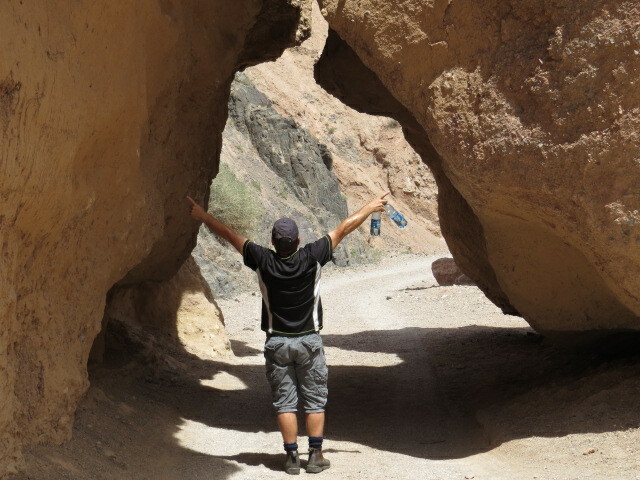 So onward ho and east we go heading toward Charyn Canyon. We stopped about 20km short as darkness was nearly upon us and found a great campsite up a small valley. The next morning we arrived at the canyon, which is quite impressive. I guess it’s a miniature version of the Grand Canyon. 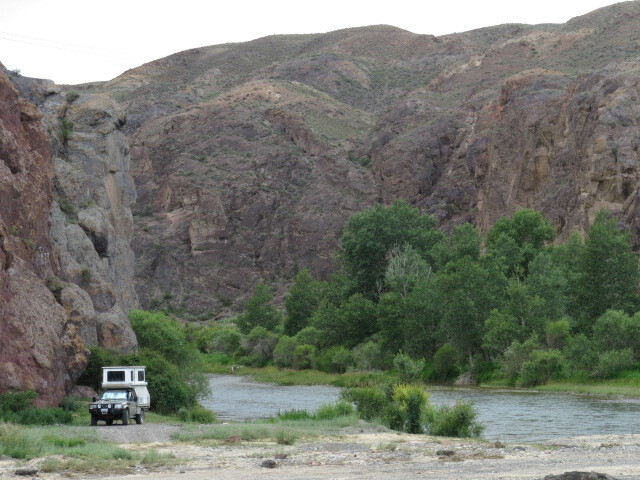 If you have a 4×4 and pay a little extra you are able to drive down into the canyon and along a stretch of lovely scenic cliffs for about 6km’s to a nice flat area with a river running through it. There is a really tight rock arch about 300m from the end and we were unable to get under it by about 2 inches due to the camper body but the drive saved us the walk! I mention the walk because in true Kazakh style, (that is to say no idea!) a coach load of tourists were dropped at the top of the gorge and walked the 6km down and 6km back in above 30 degree heat whilst their tour coach driver slept in the vehicle. I am not exaggerating when I say I’m surprised they all made it back and would not be surprised had some sported extreme sunburn and dehydration from their day out! Unbelievable…. 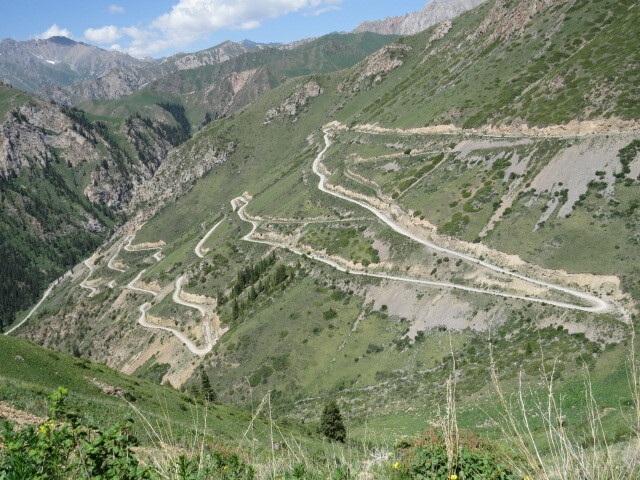 Our original yet rough plan was to head south from Kyrgyzstan into Tajikistan and drive the Pamir Hwy before heading across Uzbekistan into Kazakhstan. This route would only require a transit visa for Uzbek! But whilst in Almaty it would seem there has been some inter-clan violence and some shootings in one of the towns along the route, hence the required GBAO permit is currently not available. This happens from time to time in the area; apparently it generally resolves itself within a few weeks. If the visas/permits are not available it really effects the tourism dollar injection into the area of the Pamir. So we decided that as a backup plan, should the Pamir be off the table, we would apply for 30 day visa’s for Uzbekistan instead, this however requires the all too expensive letter of invitation! Basically a money making scam. So whilst in Almaty we applied for out letters through Stan Tours, it takes a couple of weeks so there in lies the reason that we have some spare time. 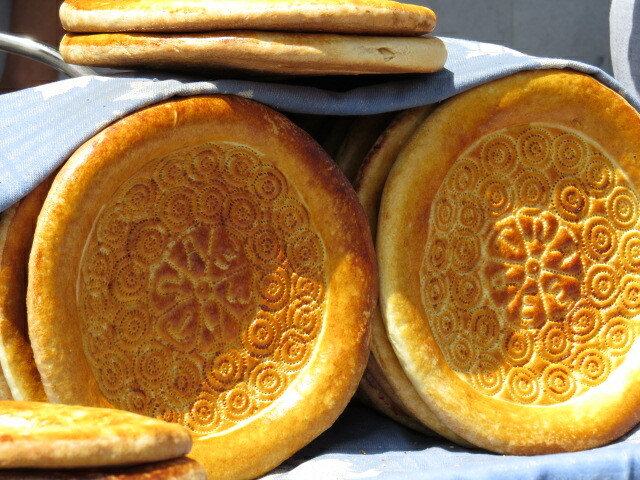 Once in Bishkek we will try and get the GBAO permit and see how we go. I know other vehicles, motorbikes and bicycles have made the crossing this season so we are still hopeful. 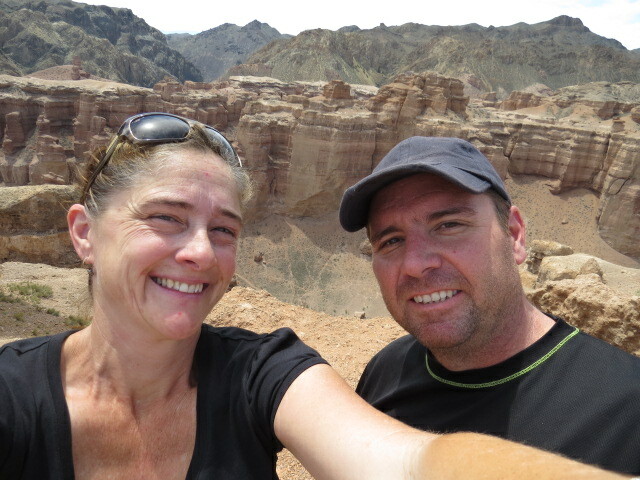 We spent only the one night at Charyn Canyon as although interesting it wasn’t overly exciting. 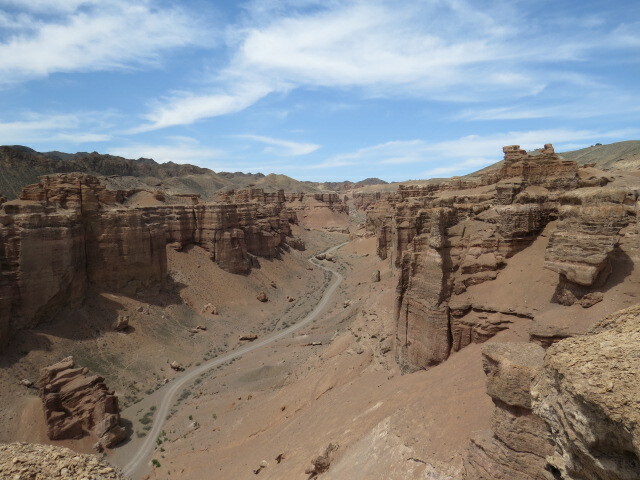 After leaving the Canyon we only traveled 20 km’s before descending into the Charyn river valley, which was quite spectacular and from our vantage point on the highway as we crossed the bridge we spotted a vehicle camped below and decided to investigate. After locating a track down we found a fantastic campsite below a cliff right on the rivers edge and relatively well hidden, that was it for the day and camp was set! 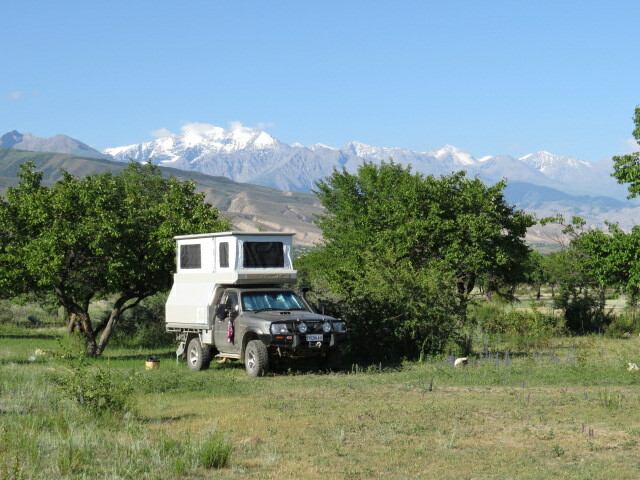 The Kyrgyzstan border came into view the following morning and we were delighted to find it open as it is a seasonal crossing and generally opens around mid May. This border crossing turned out to be a great and friendly experience, camper roof up and piles of interested officials inspecting our comfortable little home. They did offer to swap us a UAZ van for the Patrol, an offer we had trouble declining! 45 minutes and we were in Kyrgyzstan! To contrast how border experiences can go. Our drinking buddies from Almaty, Stephen and Caroline, crossed from Almaty to Bishkek and were ushered into a room without cameras whilst being asked indirectly for money! They withstood the game plan and although it cost them some time they eventually made it across in something like 3 hours. 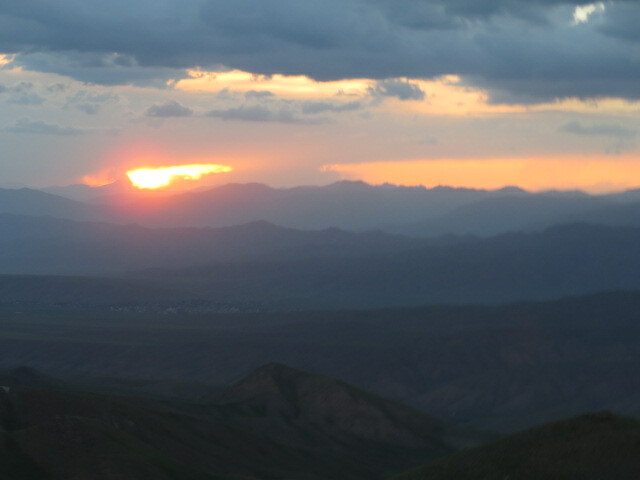 The harassment was only on the Kazakh side, the Kyrgyzstan border was, as with our experience, not a problem! Toward Lake Issyk-Kul and a few km’s down the rough gravel road we came to a Police checkpoint, just recording passport and vehicle details as we are still within the border control zone. We arrived in the town of Karakol on the eastern end of Lake Issyk-Kul and managed to get some Internet coverage at a tourist bureau! Stephen and Caroline were also in town so a quick catch up was enjoyed before we did a little shopping and headed off in search of a campsite. There is some very pretty country around the lake with high mountains ringing it along with lovely valleys heading from the shoreline up into the high mountains with waterfalls and stark rock formations of red’s and greys that provide stunning scenery. Shorts and T-shirts along the lakeside with warm temperatures and then 20km up these picturesque valleys and it’s thermals and snow! A day trip to the snow followed by a cold beer and a swim in the afternoon, sensational! We found a beach camp on the lake’s edge and parted with 30 som for the privilege, which is about 70 cents! Wandering along the lake the following day we headed up another valley to a beautiful waterfall and found locals in mass enjoying the scenery and cooking their various treats. 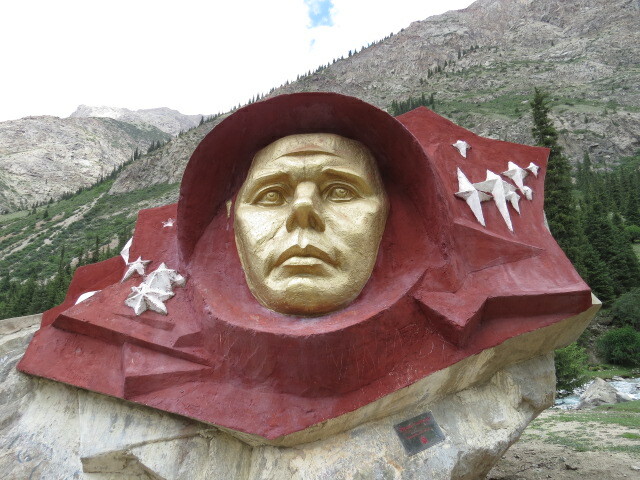 At the site of the waterfall there is a bust of Yuri Gagarin made of concrete. 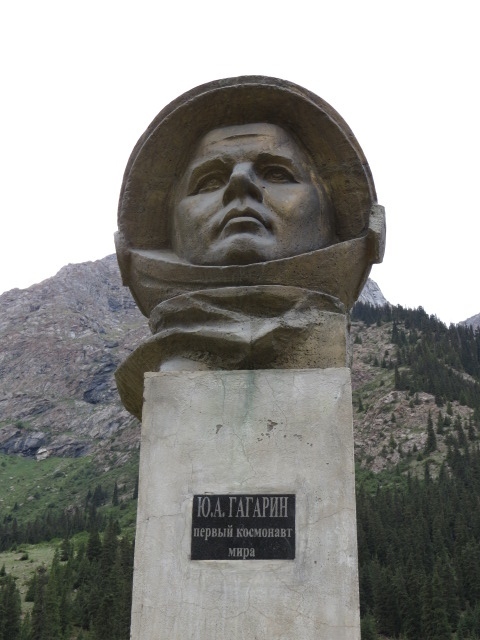 It has absolutely nothing to do with this location but apparently Yuri had a holiday in the town of Tamga about 20km away after the first manned space flight! What ever gets the punters in I guess? Up this valley a further 20 or so km’s is the massive Kumtor gold mine run by a Canadian company. The locals seem to have mixed views about it – of course it provides jobs and some wealth for the economy but the 2 tones of cyanide that ended up in the magnificent little stream flowing down the valley after a truck rolled over seems to have taken the shine of the enterprise! Oh by the way it was a local truck driver employed by the mine with a few arkhi’s (vodka) under his belt that lost control! Doesn’t that open a plethora of discussion that could be had regarding how to operate in far away places! Anyway the show must go on!! 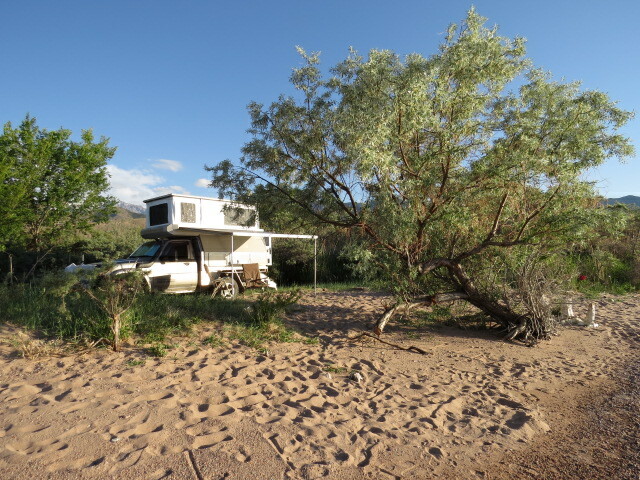 Back along the lakeside and we found a great campsite on the edge of an apricot orchard with plenty of locals around who were enjoying the warm afternoon and clear waters. Generally the road along the lake is quite close to the water so it’s not all that easy to find a concealed location. After a couple of hours the farmer that owns the land wandered by in pursuit of one of his cows and we spent some time chatting with him. Upon his departure, he invited us to his house the following morning. As agreed at 9am he arrived at our camp and we all piled into the Patrol for the short drive to his home. 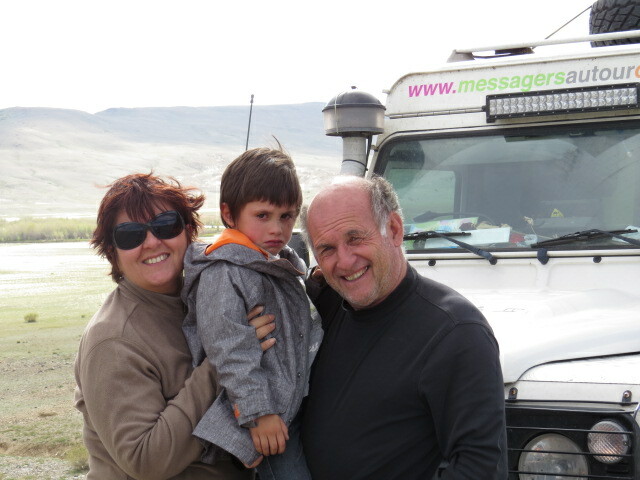 We were greeted by his wife Buroo and their neighbour’s 6 year old daughter Amina! Tulant ushered us inside and a fantastic spread of treats was delivered. We had milk tea and then home made bread with apricot and black berry preserves from their land followed by a form of fermented milk, which took a little getting used too! Just as we thought the meal was over Buroo retrieved what I’ll describe as a batch of freshly baked pasties filled with onion, potato and mutton locally known as hashaan and they were absolutely delicious! We retired to the garden and relaxed for a while whilst snapping photo’s and chatting as best we were able. 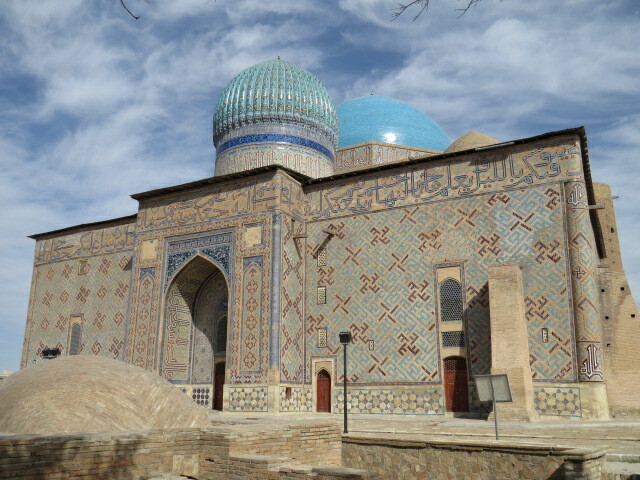 A few hours later we said our goodbyes and were promptly given some jars of preserves along with a traditional Kyrgyz felt hat for myself and a lovely headscarf for Jen. Once again it felt like leaving old friends from whom generosity knew no bounds. With 3 home visits to date we are feeling very fortunate and have enjoyed them all very much! I think the fact we camp in the car and avoid where possible tourist campgrounds enhances our chances of such invites. We are more approachable to the locals in such areas I think. Sometimes however we are too approachable and you crave a little solitude. Continuing west along the southern shore of the lake at a slow pace we soaked up the warm weather with frequent stops, some of which included a quick dip in the aqua blue water of the second largest alpine lake in the world. It was bloody freezing although Jen seemed to manage the temperature far more easily than I! After a lazy morning we found another reasonable campsite although once again not far from the passing parade of traffic. Being camped by lunch time turned out to be fortunate for as the day warmed and the allure of the lake was too much it wasn’t long before the locals once again started to show and no doubt we’d not have enjoyed the use of the camp we were in had we arrived much later. A similar trend the following day with a fantastic diversion along the western end of the lake, the main road diverts further south from the water giving up a nice little gap of around 5km by 30km where there is no infrastructure. We drove through a small village until we found a track out in the direction we wished to travel and it turned out to be a gem! 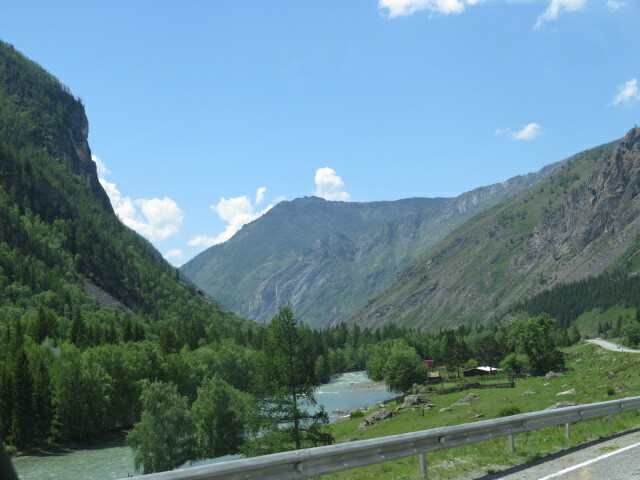 10km which included 5km’s of stunning driving at the base of a small river canyon. The track continued along the shoreline as we’d hoped and revelled a few locals camped sporadically. We travelled past the last camp which no doubt consisted of some sore necks that evening (the rate at which heads turn when your off the tourist trail is quite astounding) and found a great spot including something we’d been missing lately – isolation! A campfire and apricot chicken hot pot were in order! After leaving the lake, we began the journey south along the highway, a pleasant change except for a really long and very rough section over a high mountain pass, which is under construction. The drive was nice but as usual you have to deal with the locals as they try and become carrion! 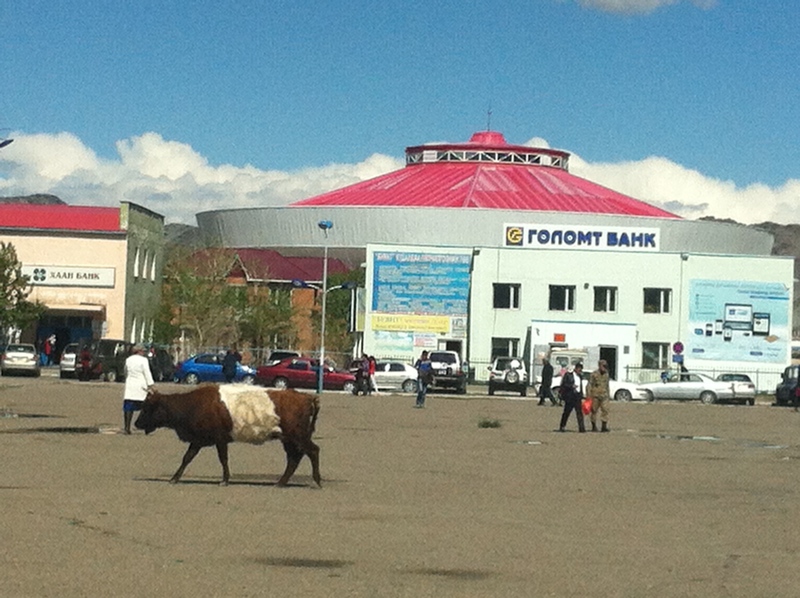 Fuelled up in the town of Kochkor and subsequently found the reserve fuel tank electrics had failed. Anyone with a Patrol will know this is a common complaint. It really makes me wonder why manufacturers do some of the things they do? For me personally, when I look at different vehicles I can usually come up with something I like and something that makes me shake my head. For instance the Toyota sub fuel system is far superior to the Nissan and much simpler, so why go the way Nissan went! But then Cruiser Ute’s are 100mm out of track front to rear – what the? Wouldn’t it be nice if they just got together and got it right!! Anyway as I was aware of the sub fuel tank issues I was ready for it and so it was only the time required to enjoy one beer at camp that that saw the system sorted. The ute now has 170000 km on the odometer though so I guess it’s taken a while for this fault to appear! Camp was close to, but hidden from, the road near an abandoned farm house. Continuing south and now back on rarely experienced smooth black top and whack! A large black raven like bird sprang up and went between the camper and the cab roof!!!! Jen could see him out the back window between the camper and the cab rail, how the hell are we going to get him out of there? Coming to a stop and luckily the unfortunate creature had somehow extricated itself from it’s enclosure and as I exited the vehicle with euthanasia on my mind, it stood up looking a little dazed before flying away! 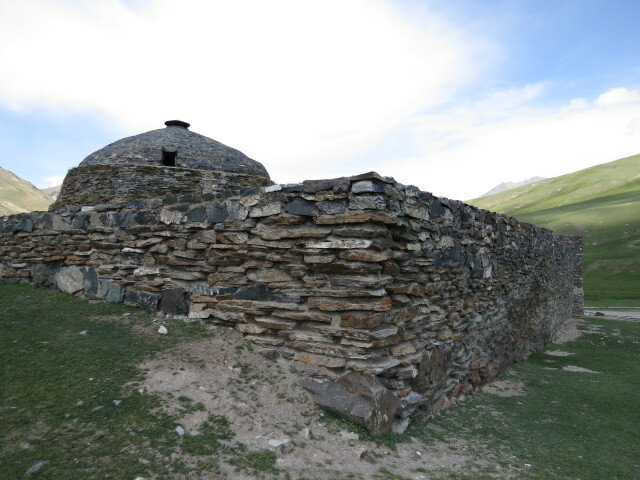 We arrived at the location of Tash Rabat, believed to have been accommodation used by wealthy travellers as they made their way along the Silk Road. 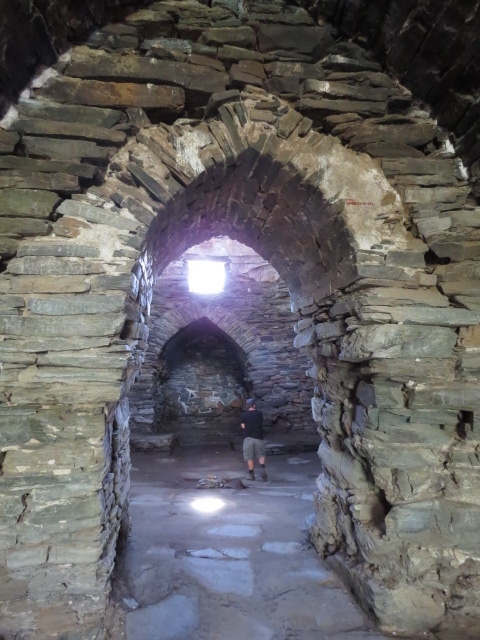 Thought to have been constructed as early as the tenth century it’s an extremely interesting site set at around 3200m altitude up a lovely valley, only accessible a few months of the year due to snow and descending temperatures. We spoke to a tour operator here regarding a track marked due north that would eventually get us to Lake Song Kol. 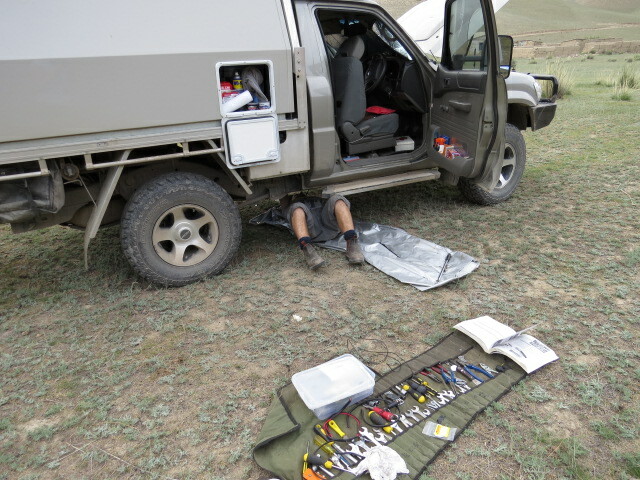 Whilst he hadn’t personally driven the route he knew of 4×4 tour groups using it and believed it was in good condition. So we headed off and the next couple of days delivered without doubt the best scenery we have had to date! The first section of the road gained in altitude quite quickly, massive grey clouds were assembling as we ascended and looked more than ominous. Sure enough they soon provided lightning and very heavy rainfall, just to add a level of slippery to the clay surface. To sum it up, high mountain passes with switchback after switchback before descents into heavily watered and eroded valleys of stark and stunning scenery. Campsites easily found and hardly anyone to be seen! Apart from the wrong turn that we endured for a few km’s resulting in a rather uncomfortable U turn in a less than optimal location along a steep track, the drive only really required 4×4 due to the rainfall and lack of traction, when dry it wouldn’t be an issue! Some sections were quite muddy and when your looking out of the window and it’s a few hundred feet down to an uncomfortable ending it’s less than pleasant when traction becomes an issue and Isaac Newton takes over! Just as we approached the high pass of 3400mtr we came across a poor young lad that was having trouble convincing his donkey to move despite the deteriorating weather. Jen got out and gave him a little gift to try and brighten his day! A couple of days later and we were at the northern most section of this traverse, a long winding switchback descended into the valley bellow! From our vantage point we were again spoilt with post card scenery. 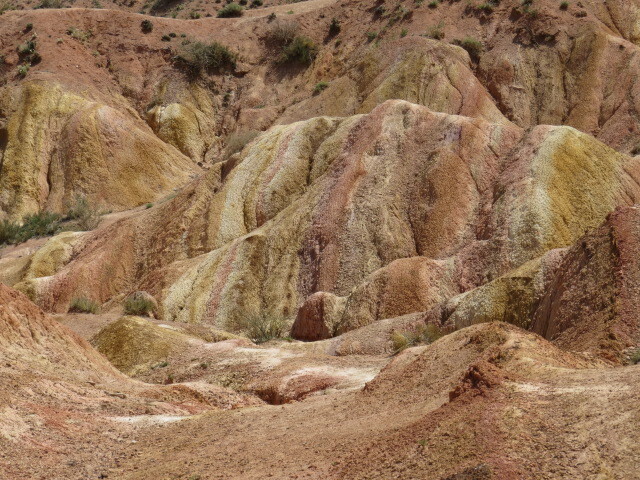 From wet and snow spattered mountain passes, we were now looking down on a dry and yet stunning landscape of beautifully coloured and heavily eroded ranges. Reaching the town of Baetov we continued north and onto one of the more well used roads that provide access to Lake Song Kol. We were keen to top up with water and had been on the lookout for a while now. 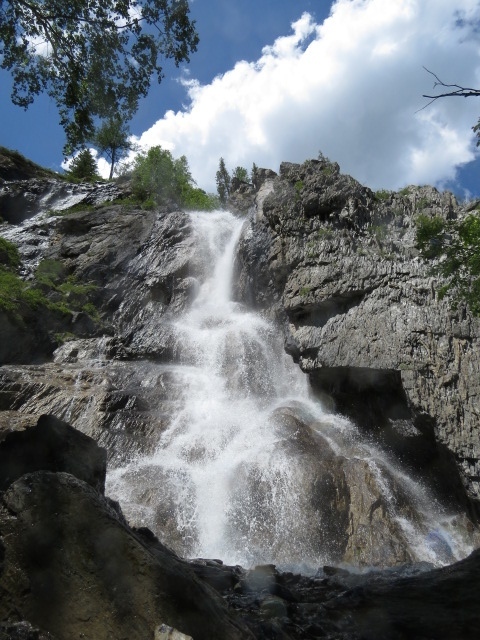 To date we have obtained almost all of our water from creeks and snowmelt but with the amount of rain over the last few days the creeks had been laden with mud and debris and hence not really suitable. We have 120 liters and another 10-liter container and whilst only around half way through our capacity I like to get water whenever I see it! As luck would have it a crystal clear fast flowing creek appeared and we were able to give the Patrol a well-deserved wash whilst topping up. The location was too good to pass up so camp was promptly set and clothes washed and showers had! The following drive was again stunning as we ascended toward Lake Song Kol which sit’s at around 3000m. The road, which ascends toward the lake, is really spectacular with a long section of switchbacks that provide magnificent views back down the valley. The road is in good condition and is no barrier to normal passenger vehicles hence allowing for a little more traffic. 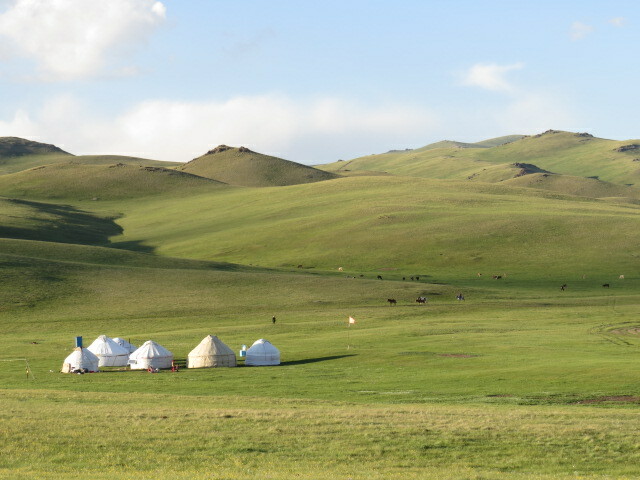 After around 50km we arrived at the western end of the lake and headed east along the southern shore line passing a smattering of tourist Yurt camps as we went. Just before arriving I’d been thinking- “it’s lunch time and we are both hungry but we should look for a campsite. If we can’t find anything soon we’ll stop for a bite and pursue a site after a snack!” The following situation removed lunch from the menu completely! Hmmm those 2 people on the side of the track look like westerners with back packs! She is flagging us down…. Do you speak English from an obviously distressed tourist – yep what’s up? Christoff and Stephanie from Germany (who have asked that their photos not be published) were on a 2 week Kyrgyzstan hitch-hiking holiday and had unfortunately found themselves stuck here at Song Kol for the last few days! They needed to be in Osh to catch a flight home the following morning with check in at 4am!!!! There is no regular transport to Song Kol and definitely none to Osh, which lies a couple of hundred km’s away as the crow flies! That crow would need oxygen and jet propulsion to get there however as it’s mountain pass after mountain pass in that direction and would take us the best part of 2 or 3 days consistent driving. The only possible way they had of making it, as far as we could see, was a long loop that would require some 600km’s of driving. It was mostly on the highway though and that would be their best shot of getting transport/hitching! 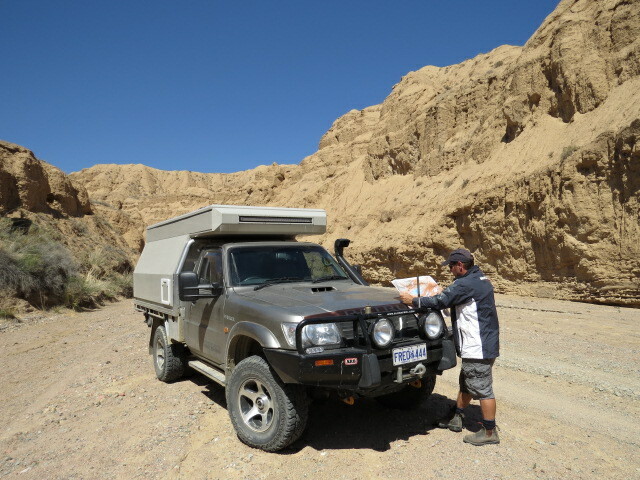 Story cut short, we promptly loaded their gear into the camper and with now 4 people in the cab began the drive north from the lake the 60 or so km’s to the nearest town where we thought they had a chance of hitching a lift! Their cards and cash had been stolen adding a layer of distress to their situation and with only a few dollars on them, they were really up against it! A few uncomfortable hours later we reached the town of Chaek and dropped them on the outskirts of town where they thought they had the best chance of obtaining a ride. We made them some sandwiches and topped up their water. They had been living on bread the last couple of days and Jen gave them a little cash to hopefully get them through! These guys were really in a bad situation. Whilst parked with them, the locals seemed to think that we were in some kind of difficulty and one local in particular stopped to see if we were ok…. We agreed to come back to where we’d dropped them off in half an hour in case they were still there! After leaving them we talked about our options and whether we could get them to a better location, but realistically we couldn’t do a lot more. Osh was a 1000km detour for us and as it was we were 120km off track. They did get a ride out of town however and we didn’t see them again, I hope they made their flight but it was always going to be a struggle to get there. We stocked up with a few supplies and weren’t really sure about how to proceed, we had only seen Song Kol for about 20 minutes! Jen found a track on the map that would hopefully lead us to the northern shore of the lake and so that became the plan. Heading east and then finding our way onto the track took some time and when we eventually turned onto the track we were met with a Sangyong 4×4 full of locals stuck on a rock the size of a jerry can! You do have to wonder if they actually look out the windscreen!! Anyway with a shovel we managed to extricate the stricken vehicle and no sooner had the task been completed some horse riding locals appeared and once again the Patrol became the centre of attention. Fortunately however the locals were able to provide us with some directions to the lake and that there was indeed around 10km to go! They didn’t mention it was 10km straight up, I knew we were going to have to gain some altitude really soon as the lake sits at 3000m and the pass is at 3400m whilst we were currently at around 1500m. 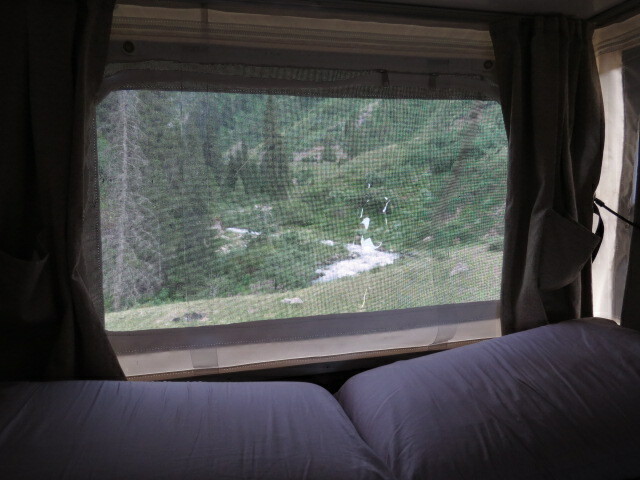 We probably should have camped as twilight was washing down the valley but we really wanted to get back to the lake and spend a few nights relaxing in one location. So onward and most definitely upward, over an hour in first low on a reasonably well maintained track consisting of the now ever familiar switchback after switchback before cresting the pass at 3400m and in semi darkness. It was a little weird having been ascending for the last couple of hours and then only descending a few hundred meters to the lake. A late camp was had on the lakeshore, but we were happy to have arrived. The following morning we moved a few hundred meters to a more protected location but only a hundred or so meters from a tourist yurt camp. To put you in the picture, there isn’t really any location around the lake that provides secluded or protected camping as with the altitude comes the treeless scenery. A few hours after moving camp and we have a consistent stream of locals passing within feet of our campsite and standing on a rock on the lake’s edge!! 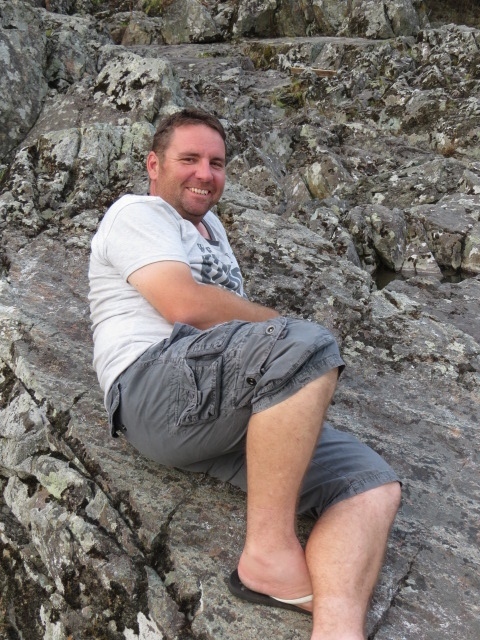 Would you believe they can apparently get phone coverage from this rock and no where else…. So with a hundred km’s of shoreline we camped next to what turned out to be a well used mobile hotspot! Anyway it worked out OK as we met a lovely family who run the Tourist camp. One of their daughters spoke good English and we gleaned much information from her about their lives. The only downside from our few days at the lake was that it was once again the beginning of what has since continued – the Kyrgyz men will come up to you and shake your hand whilst the only words leaving their mouths will be in the form of wanting Vodka! When you decline their request they generally about face and disappear. You really have to wonder how often they get a result; I can’t imagine many tourists handing out vodka and cigarettes when requested. It’s all very low key however and I guess you just have to tolerate this behaviour as a trade-off to such beautiful scenery. 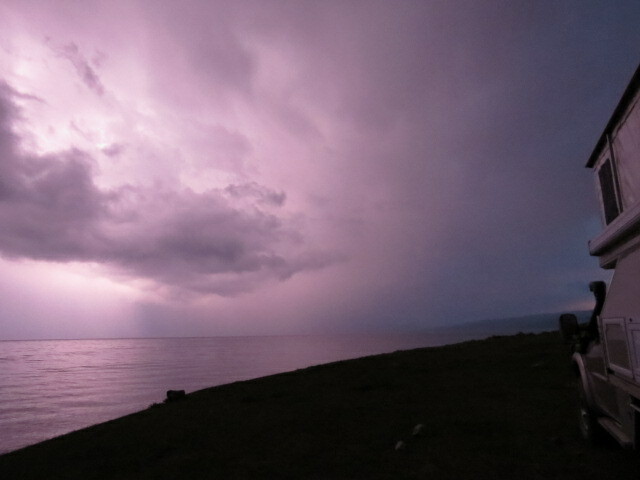 Whilst we were fortunate to experience lovely weather, two of the three nights spent at Song Kol were accompanied by thunderstorms of quite a spectacular nature although the worst of it was fortunately to skirt our location. Strong wind squalls were accompanied by quite heavy rain at times, but fortunately not for prolonged periods of time. Sitting in bed watching the sky illuminated by such tremendous examples of power is always a reminder of just how insignificant we are. Whilst relaxing and overlooking the vista of the lake we were greeted by the appearance of a GU wagon with a Swiss couple on board. Christina and Giuseppe are in their third month having crossed Turkey, Iran, Turkmenistan and Usbek to arrive at Son Kol. A discussion ensued regarding our respective plans; they were heading for Kazakhstan and on to Russia before returning home. Giuseppe had heard of the problems with the Police in Kazakhstan and wasn’t looking forward to the drive ahead and I don’t think I did anything to relieve his skepticism. 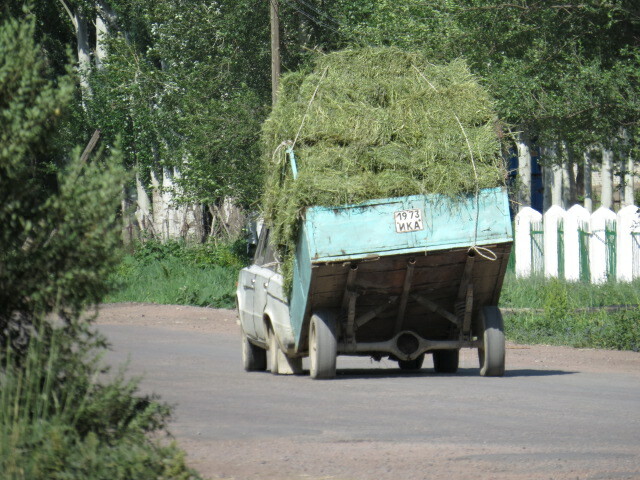 Diesel had been unavailable across Uzbek and they had to obtain it on the black market, always a challenge! Good advice for us as we will endeavor to have ample on board before entering the country. Goodbyes again and they headed off toward Issy Kol lake. 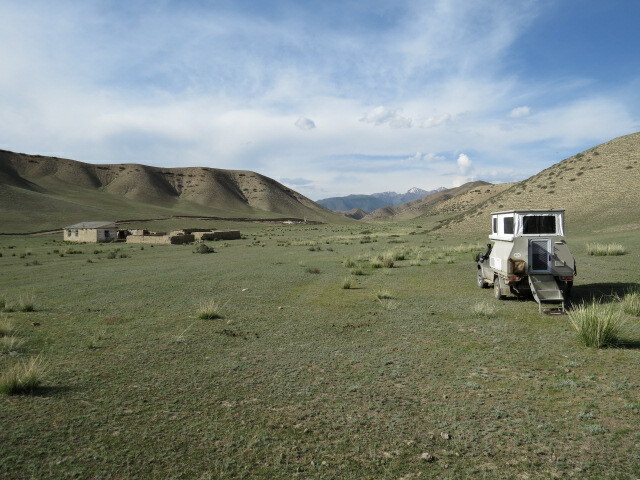 Back the hundred or so km’s to Kochkor and finally some Internet access. We hadn’t bothered with a local SIM card in this country and locating Internet cafe’s wasn’t all that easy. When you do find one it’s either closed or not working. We stocked up on some supplies and spent some time just absorbing the town atmosphere including watching a Mazda 121 cruise past us and the local Police on 3 tires and very impressive space saver in the form of a rim only! With emails responded to we decided to head northwest toward Bishkek over a mountain pass that Jen and I spotted on the map! Keeping it short we found ourselves in heavy rain amongst the clouds slipping and sliding up muddy tracks that it appeared hadn’t seen anything other than hooves in recent history and we still had a 1000m of elevation to make the high pass, we had to call it! We made our way back down and found a great camp bathed in sunshine and well hidden from view! In a normal days driving here you will go from running the air-con flat out to cranking the heater within minutes and back again. Takes a little getting used too! 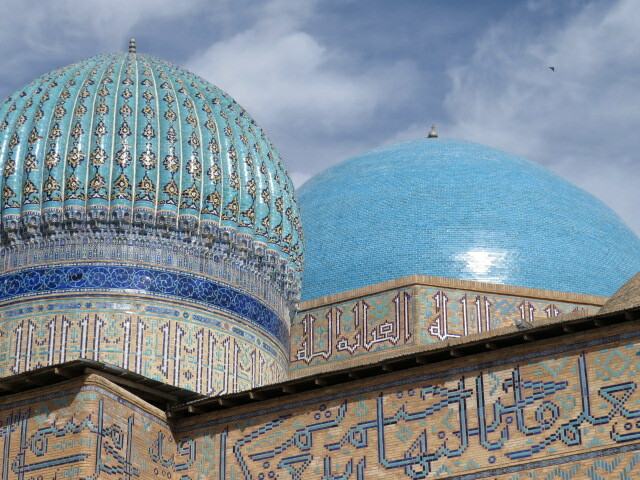 Back in Kochkor and a quick check of the email once again and our Letters of Invitation for Uzbekistan had arrived so we can now make our way toward Bishkek and the ever-enjoyable task of pigeon English and obtaining visas. 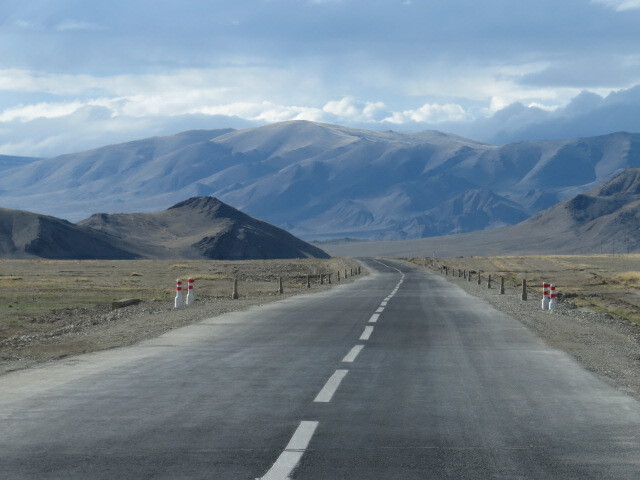 Having not been able to make it over the pass toward Bishkek, we followed the blacktop for a couple of hundred km’s back around the mountain ranges that effortlessly block any direct passage. (We later found out that even horses struggle with the pass we were heading toward. Apparently it was in use during Soviet times and receiving maintenance but has been left to suffer land slides and the like, making it impassable since the demise of the Soviet Union) We decided to make our way up the other side of the pass toward the area that we would have arrived in, had we made it over the mountains, and we found a great little campsite on a grassy ledge above another picturesque mountain stream. It’s a popular area with locals and we certainly didn’t have it to ourselves during our stay but were again left undisturbed. 80 or so km’s and we deviated on the outskirts of Bishkek to the Tajikistan Embassy to hopefully obtain our GBAO permits. YES they are issuing them again and about half an hour later and $150 USD lighter we had our little stamps. A week or so in any direction in this area can define your passage, as it does seem visa suspension can happen at any moment. 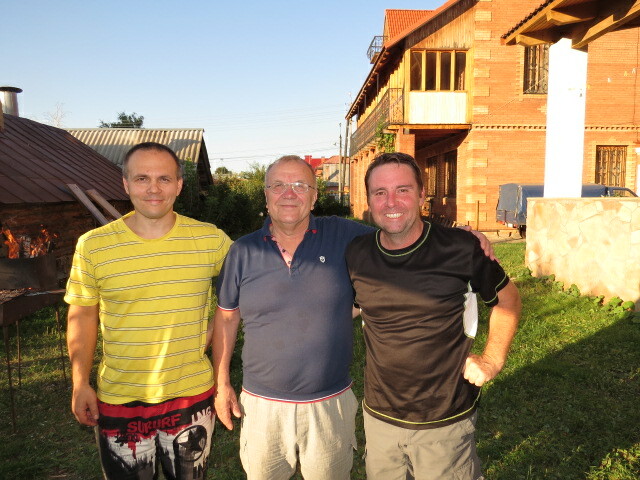 We navigated the, as usual, ridiculous traffic and found our way to Nomads Home, a well-known overland hostel. There is only room for one 4×4 with a pop-top and fortunately we now fill that space. 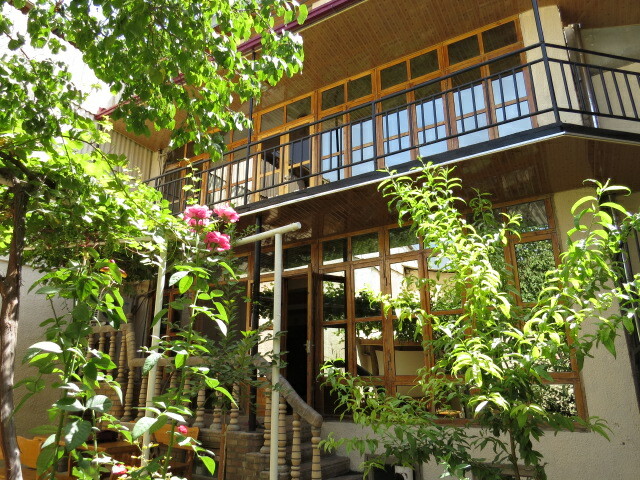 The family that run the hostel are more than friendly and have assisted us in making our appointments with the Uzbekistan Embassy which are now set for Wednesday morning in 2 days time. All going well we hope to be on our way toward the second highest road in the world by Wednesday afternoon. 8th of July tomorrow and that date holds some significance for us as it’s Jen’s Birthday, so Bishkek will play host and I’m sure a great day will ensue! Next post may be a little late as we aren’t expecting Internet for a few weeks so stay tuned! 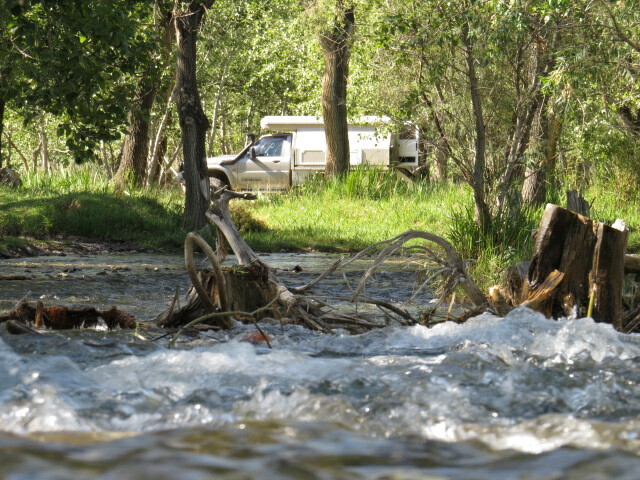 PS we’ve uploaded 2 short YouTube video’s of a couple of our campsites, you can view them at…. 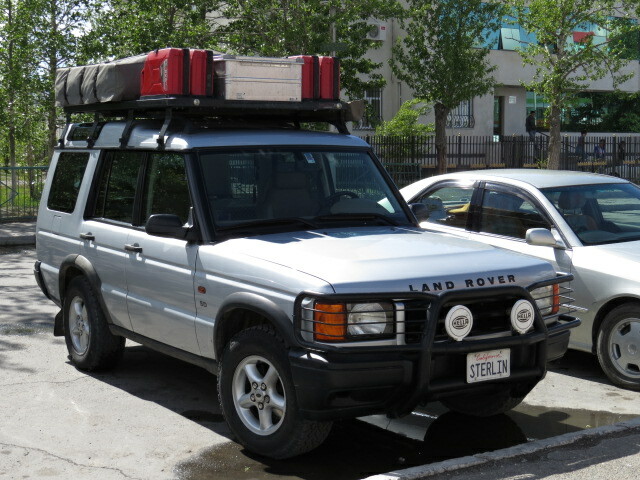 This entry was posted in general, Kazakhstan, Kyrgyzstan, Vehicle, Visas on July 7, 2014 by Jen. We managed to navigate the 2nd ger visit without having to consume any fermented mare’s milk, which I have to say, was a bit of a relief, as all reports suggested that it would go through us quicker than rancid chicken. We tasted some home-made cottage cheese and the obligatory milk tea before saying our goodbyes and heading for the border. 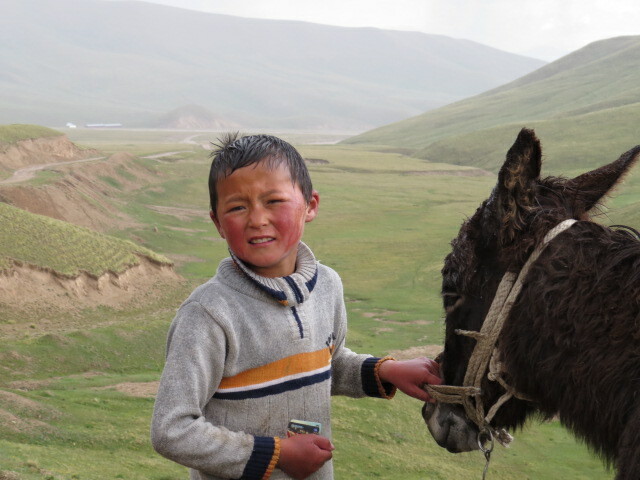 Our Fuji Instax Mini camera (akin to a polaroid camera) that we brought with us, has been invaluable in Mongolia. The number of times that we have brought it out and the resulting photograph has been cradled by the recipient as a truly cherishable memory of the moment we shared has been innumerable. Having an instant photograph of their family or themselves has been something that, although we may take for granted, to them is a luxury afforded only to an elite few! The town of Olgii proved to be a good choice enroute to the border as we met an overlanding couple in a Landrover Discovery. Albeit he was from New Zealand and his partner from Belgium, they now live in the United States and are following a similar journey to ours and we hope to meet up with them again in Kazakhstan if our itineraries collide! 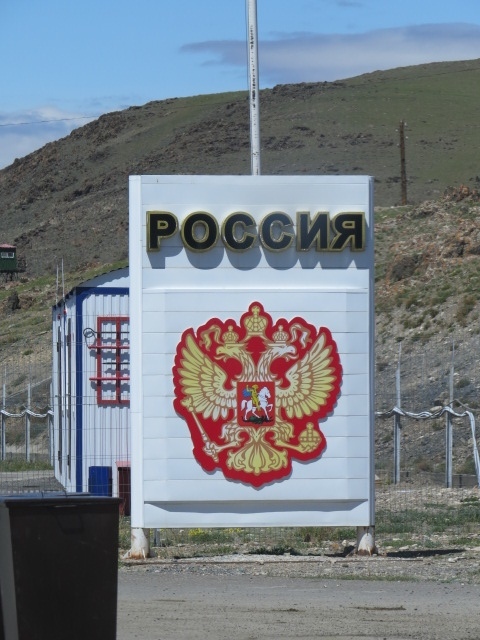 Anyway, we departed Mongolia within our original visa limit and after an extremely tiring 5 and ¼ hours at border control, we were in Russia yet again. 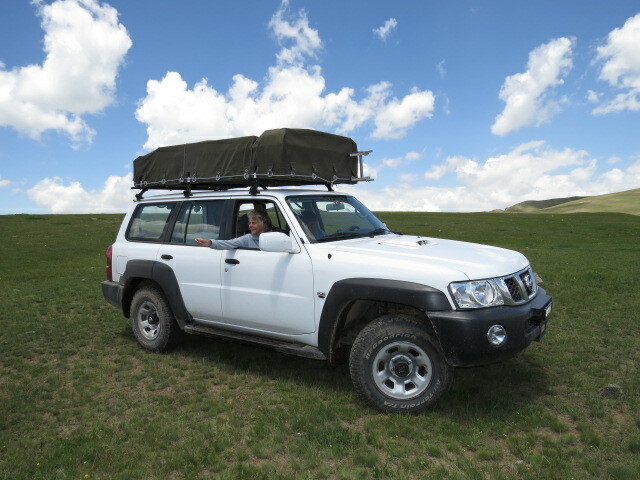 We were now heading for the Altai Region and enroute met a lovely French family travelling in the opposite direction that in four months of travelling, were yet to meet another foreign vehicle! 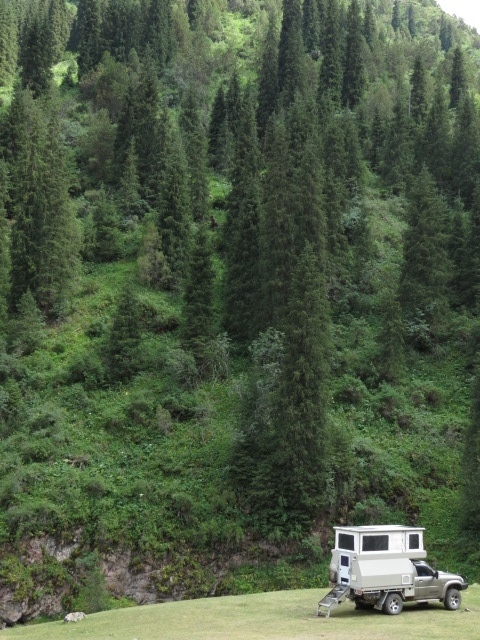 We chatted to them for a while and only 1km onwards found a campsite that proved to be the entry to the Altai Mountains Region. 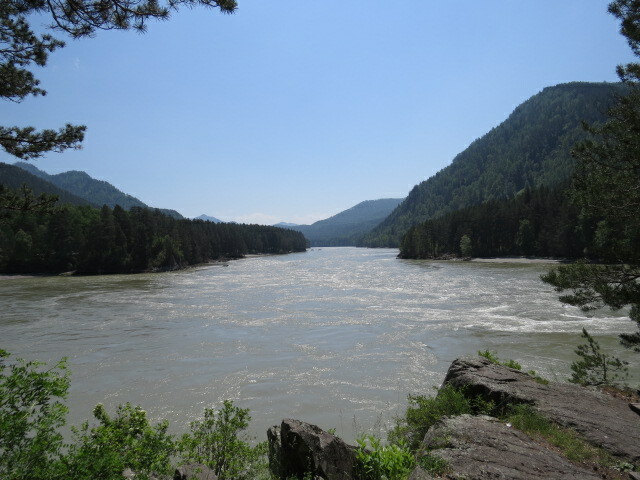 The Altai Region was lovely and the spectacular scenery was unending! 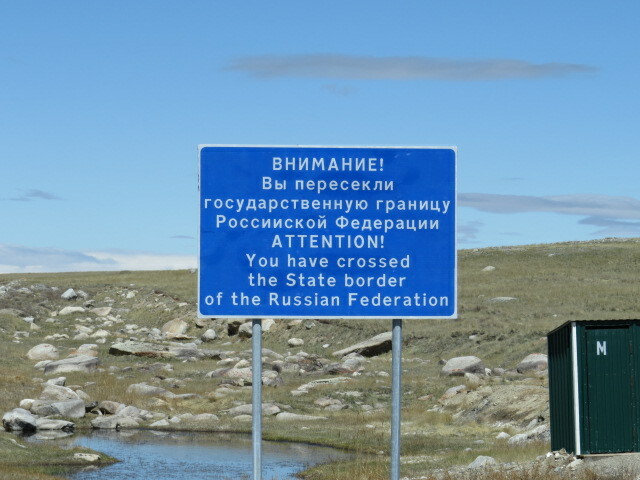 We were amazed with the influx of Russian vehicles coming towards us and realised that we had entered the region on what was obviously a holiday long weekend. 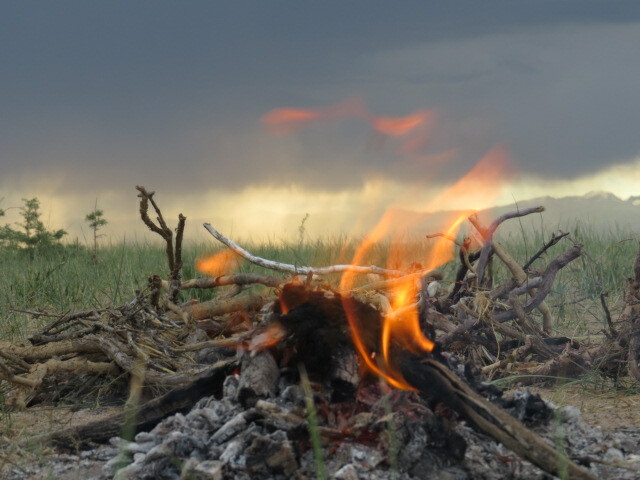 All possible camping options were full with tents and vehicles and finding a camp proved to be rather difficult but nonetheless achievable given Justin’s talents. The following day I spotted a track that proved to be an excellent campsite and although early in the day, we decided not to waste such an opportunity and made camp. I wish to take cudo’s here as the camp I found was along a section of river dotted with resort facilities and between two towns only 5kms apart so to find a spot unoccupied with Russians was, I thought, pretty good! We saw much evidence in the northern part of the Altai of the recent flooding with some very sodden ground and road repairs underway but thankfully we had obviously timed it just right and had lovely warm sunny days! Anyway, as I haven’t written much to date, I thought that I would summarise the trip so far. 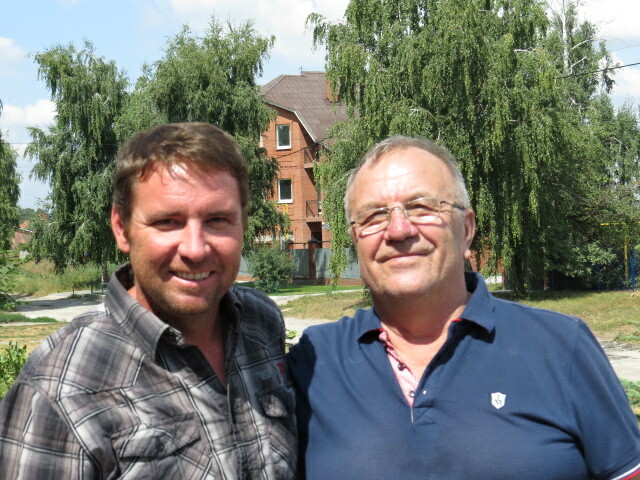 Far Eastern Russia/Siberia was a place that I found very interesting and full of surprises – mostly from the people. Given a culture that feels that smiling at a stranger is a sign of lunacy rather than friendliness, I found that once engaged with the people, their friendliness was overwhelming and on several occasions, we were shown hospitality that I think would be rare in our own community! Mongolia was a complete contrast to Russia, as the people were more than happy to smile at strangers and engage in whatever way available. They were fascinated by our camper and I put this down to their nomadic existence and a respect for others living likewise! 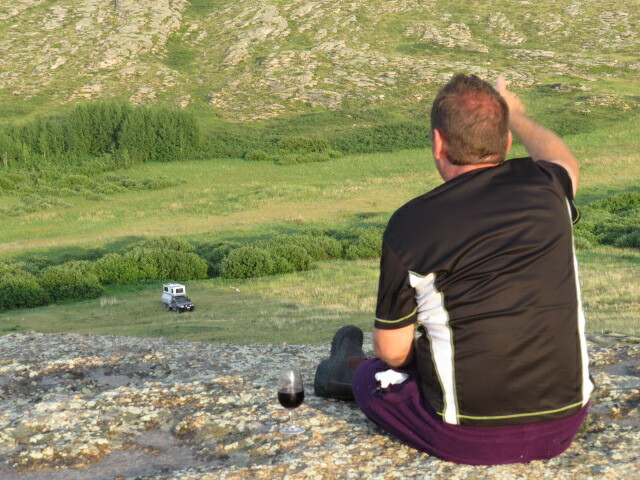 However their curiosity was something that needed to be factored in when choosing a campsite, as I suppose when herding goats all day a foreign vehicle is going to prove too much to bare and an inevitable visit is always on the cards – even if it is at 10pm!! 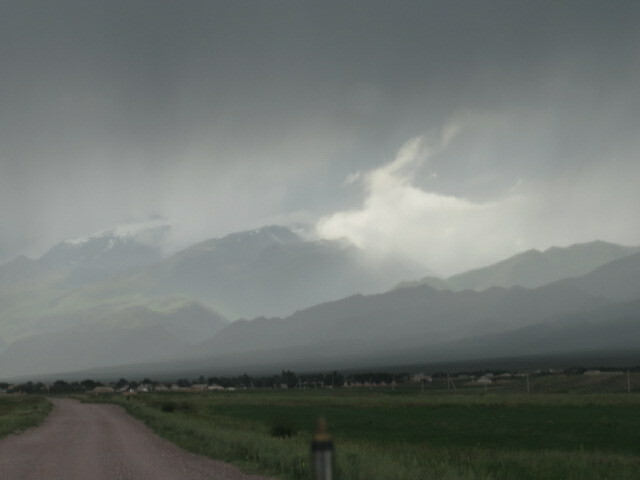 The land itself is a land of such contrast with not only the landscape but the weather changing rapidly. Mostly devoid of trees, the terrain varies from desert to snow-capped mountain ranges, from marshy boggy valleys to dust bowls and sand dunes! Pleasant warm weather can overnight turn to snow or torrential rain! For those of you who know me, I am a black and white person – grey is not something I do well and Mongolia was certainly a challenge! I like to navigate but when there are no visual cues (such as a street sign!) to confirm that the track chosen is correct, I find myself getting a little stressed! Mongolia is noticeably devoid of any signage that may indicate that you are on or which is the right track and a personal adjustment was required! Tracks shown on maps no longer exist in the same place and some that are shown as major roads on all maps don’t go through unless the season is correct! I like to think that I adapted to this and by the end of our time in Mongolia was a far more liberal minded navigator with a heading in the general direction of our destination being enough to placate me into quiet confidence that we would arrive at our destination. Returning to Russia almost seemed a comfort as it was returning to the familiar – a language and customs (and signage) that we felt we were beginning to feel comfortable with prior to entering Mongolia. 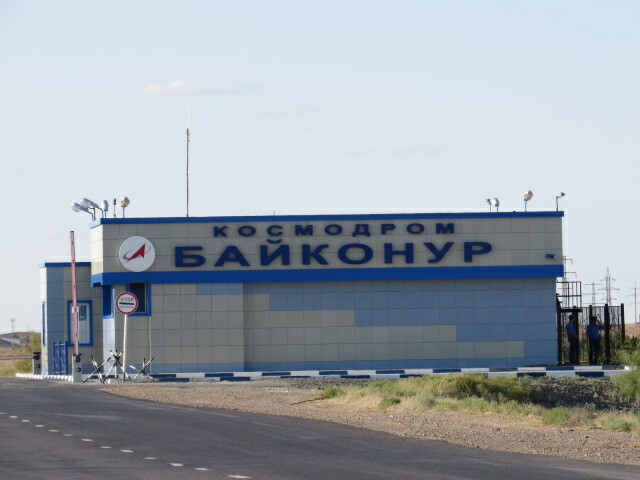 It was only short lived however as we cut across from Biysk to the border, bypassing Barnaul, and were yet again changing countries into Kazakhstan! 1 Hour later and we had navigated yet another border in what seemed like record time! Only 3 ½ hours in and we had been stopped 3 times by the police for document checks. We had heard that Kazakhstan had a reputation for this, but when we were flagged down by a civilian vehicle occupied by uniformed officers we were a little concerned and only pulled over once we found another marked police vehicle to provide us some back-up. Whether this was a factor or not, the uniformed officers checked all our documents and let us leave but continued to follow us for several more kilometres before turning off. A good way of deterring travellers from injecting money into the local economy! 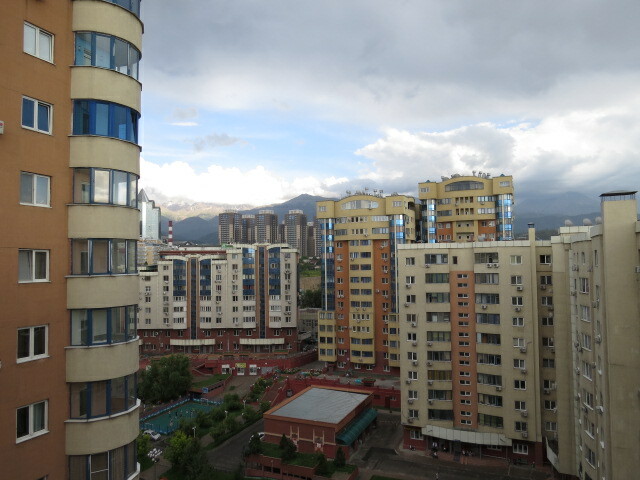 We arrived in Almaty, a very pretty tree lined city with a great choice of restaurants and a distinctly European feel. 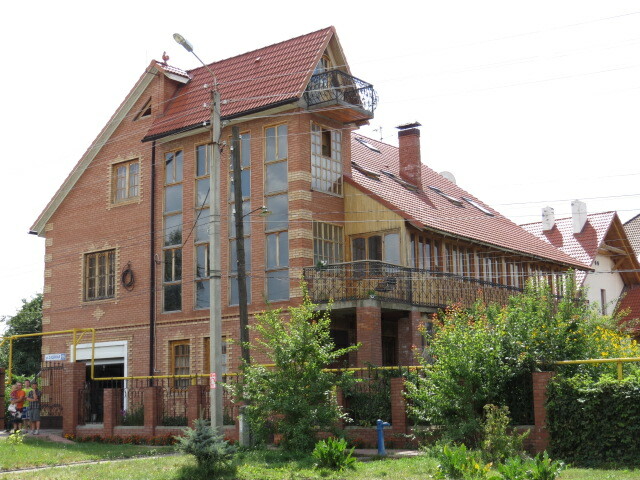 We booked a stay at the Keremet Apartments and a quick check of the internet seemed to suggest that the couple we had met in Olgii, Stephen and Caroline, had also arrived in Almaty. 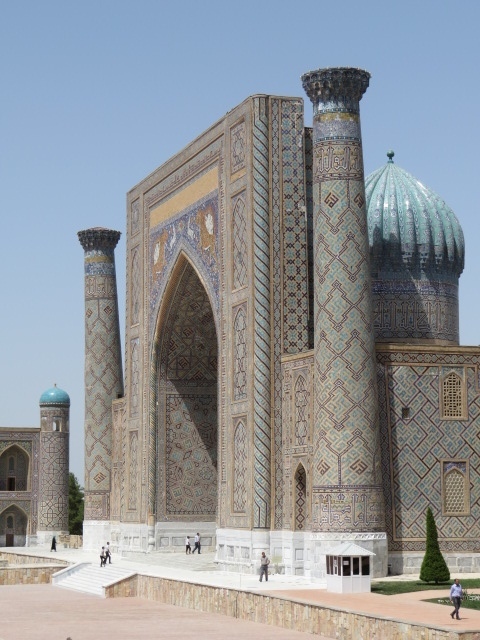 Due to a mishap with their border paperwork they had been issued transit visas instead of tourist visas and had to now fast track through Kazakhstan in 5 days as the problem proved too difficult to rectify. A few quick emails back and forth and we met for dinner which was had at a wonderful and reasonably priced restaurant called Raketa. It is necessary to register your visa within 5 days of arrival when coming through a land border and this unfortunate process means that you have to lose some sightseeing time running back and forth to the migration police. Despite reviews on the internet that suggested that this process was a manic affair, the only useful bit of information gleaned was that window #3 was the one! A friendly man advised us that we required copies of our passports and a conveniently located shop outside the building procured these. Back to the man at window #3- he asked the address of our accommodation, filled out the forms for us and told us to return at 5pm. Sorted! Maybe we were lucky but the process was nowhere near as daunting as we were expecting. Another meal was shared last night with our new friends, this time at the Shakespeare Pub before departing in opposite directions today. 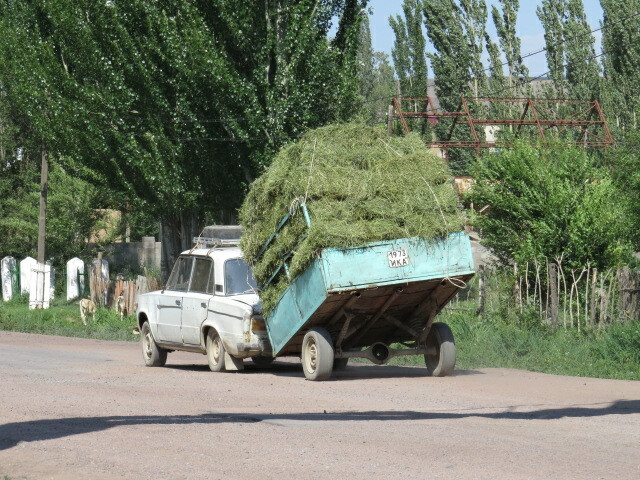 We are both heading for Kyrgyzstan but obviously Stephen and Caroline are taking the most direct route as they need to exit Kazakhstan today in order to meet their transit visa timeframe. We had a great time last night and a more than a few beverages passed our lips and after arriving back to or apartment after 1am, I have to admit, I’m feeling at about 80% this morning but nothing a good nanna nap can’t fix! 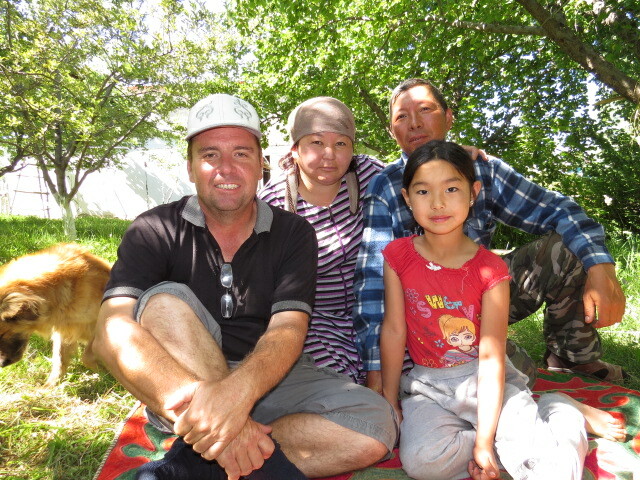 So glad we met Stephen and Caroline and hopefully our paths will cross again in Kyrgyzstan. Their website is travels.caroline-and-stephen.com and is well worth a look. See you next time in Kyrgyzstan! 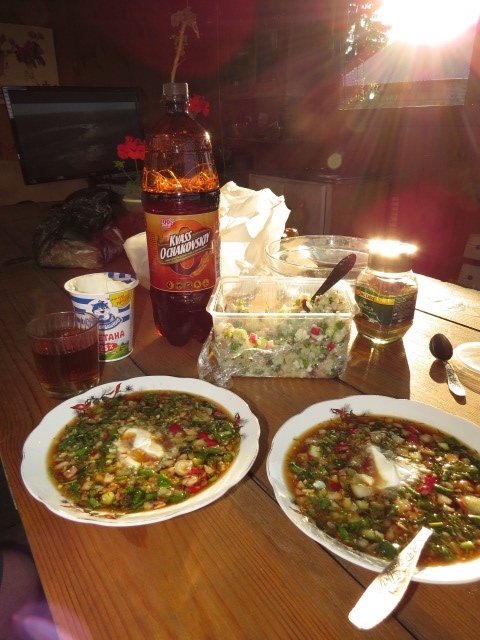 This entry was posted in general, Kazakhstan, Mongolia, Russia, Vehicle on June 21, 2014 by Jen.